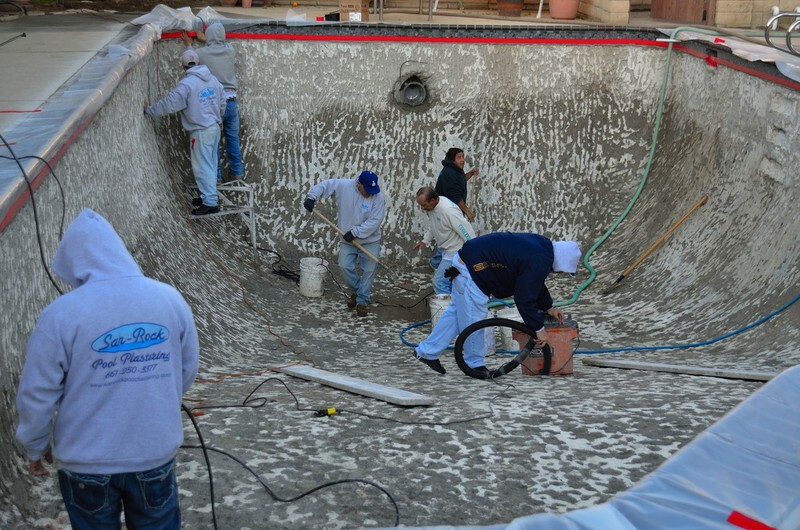 Our Recent Projects By San-Rock Pool Plastering Inc.
We have successfully completed an impressive variety of re-plaster projects. 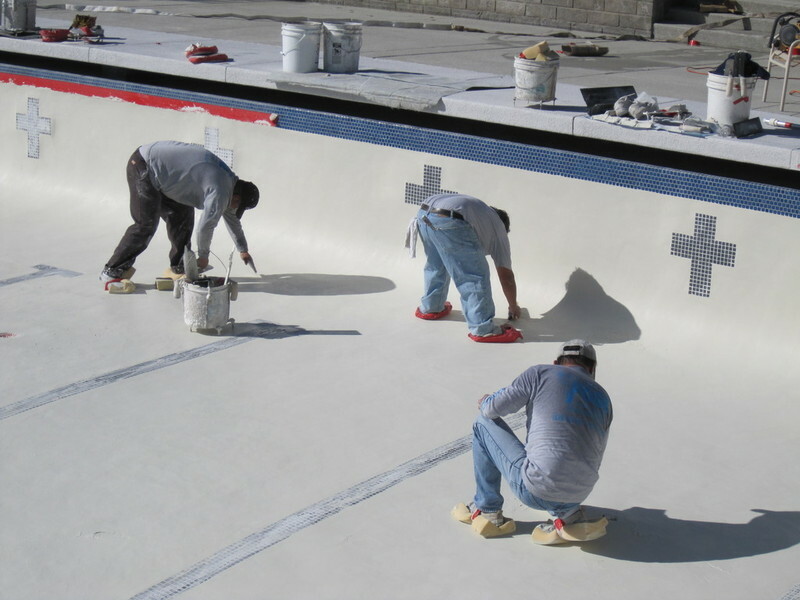 Our management processes have significantly benefited from the experience we have gained in project management. 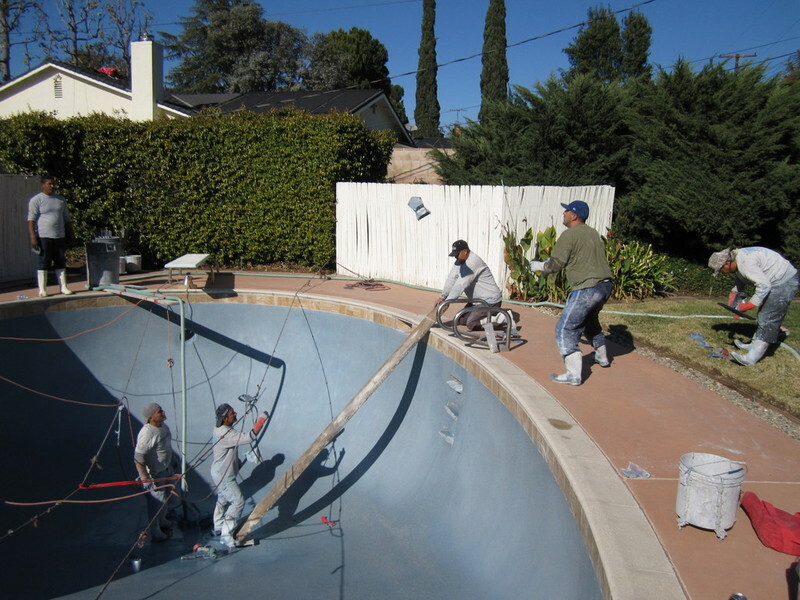 We now employ systems and methods that have been honed by our many years in the business. 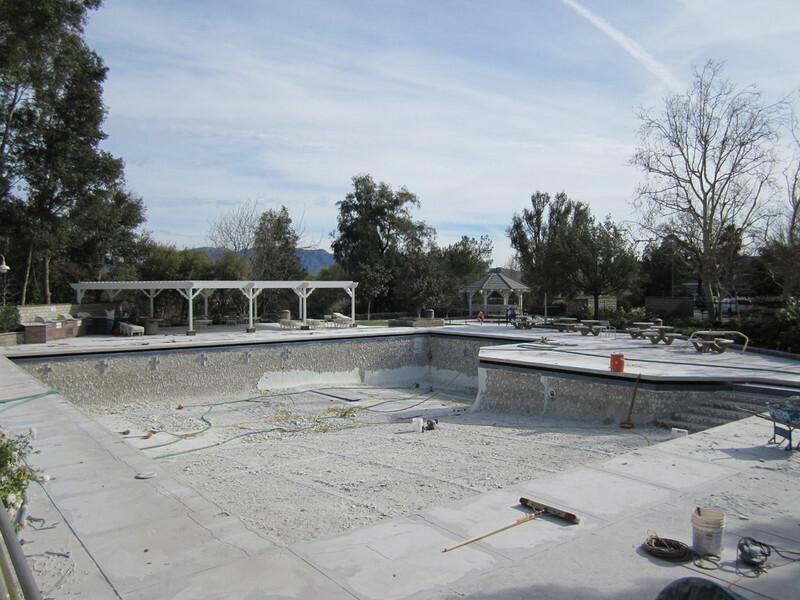 Residential Pool, Strip to gunite, New coping, Glass tile, Plumbing, Baja Step, & Aqua Blue Mini Pebble w/Glass. 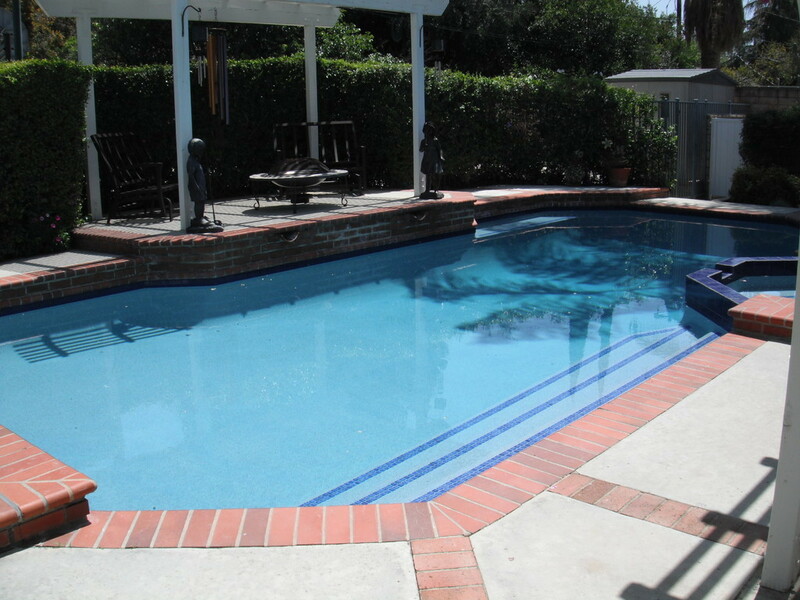 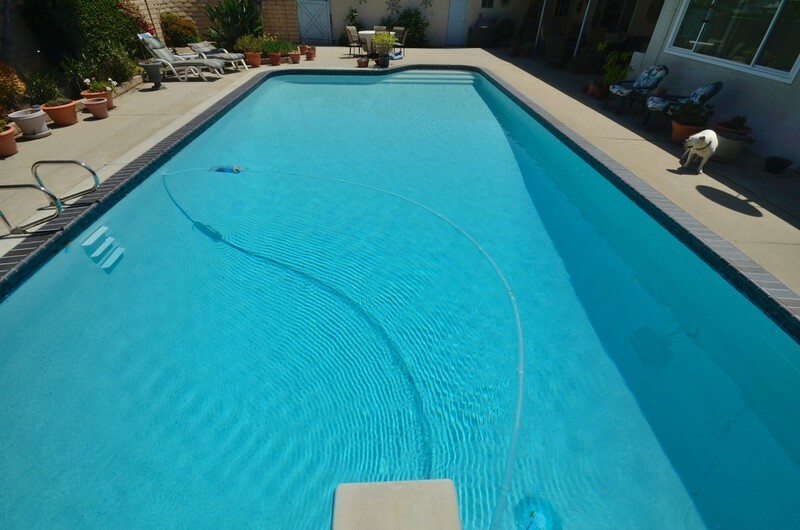 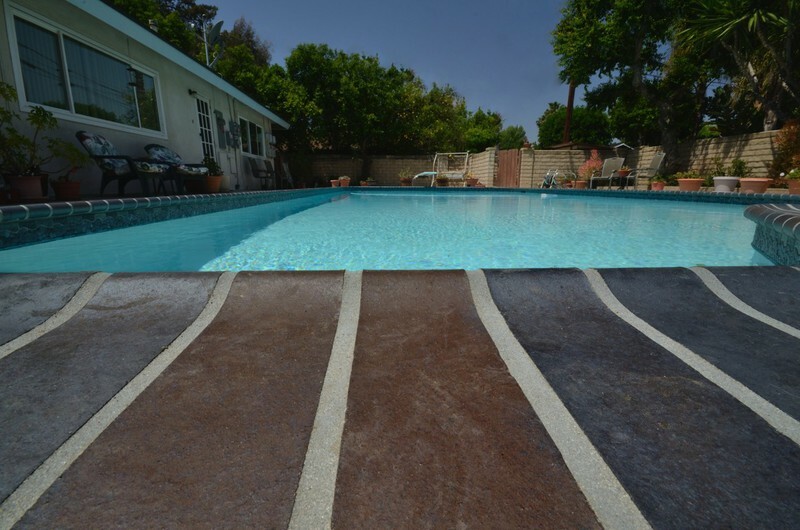 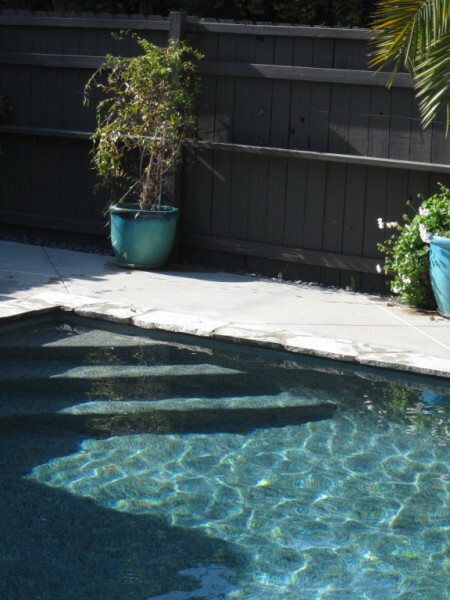 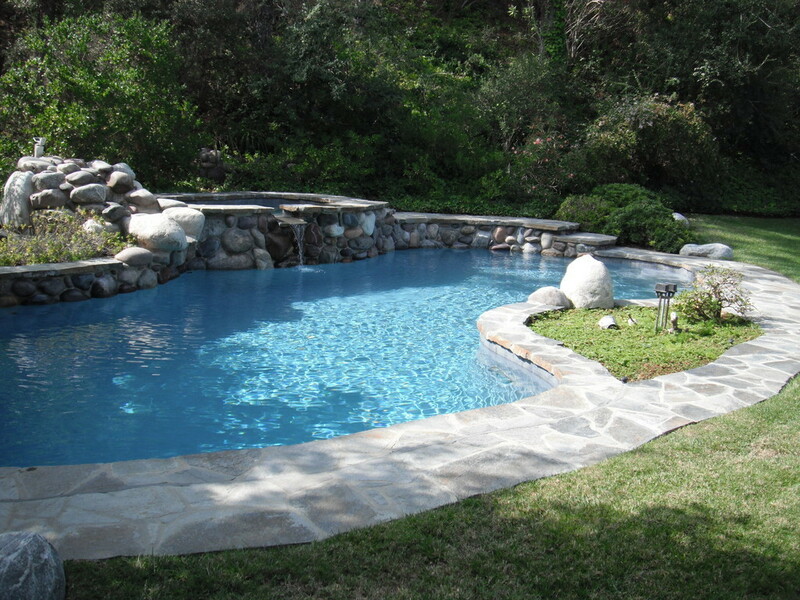 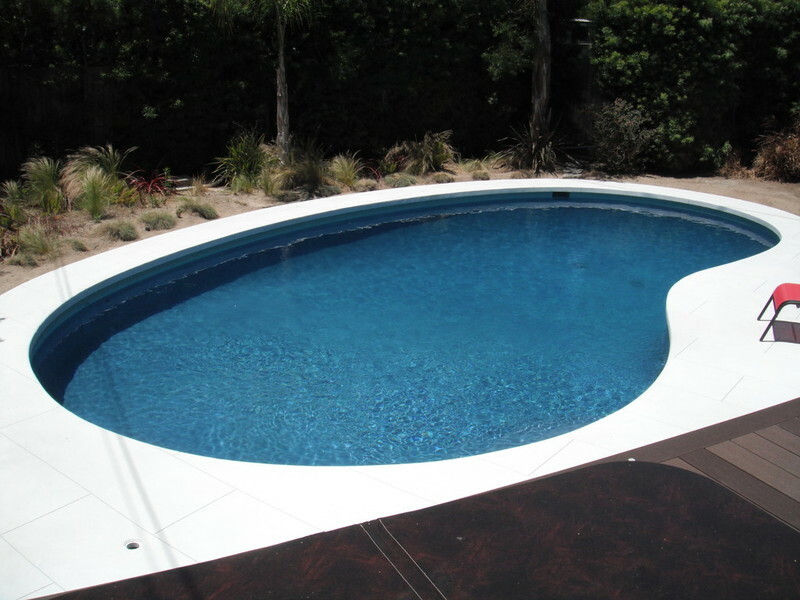 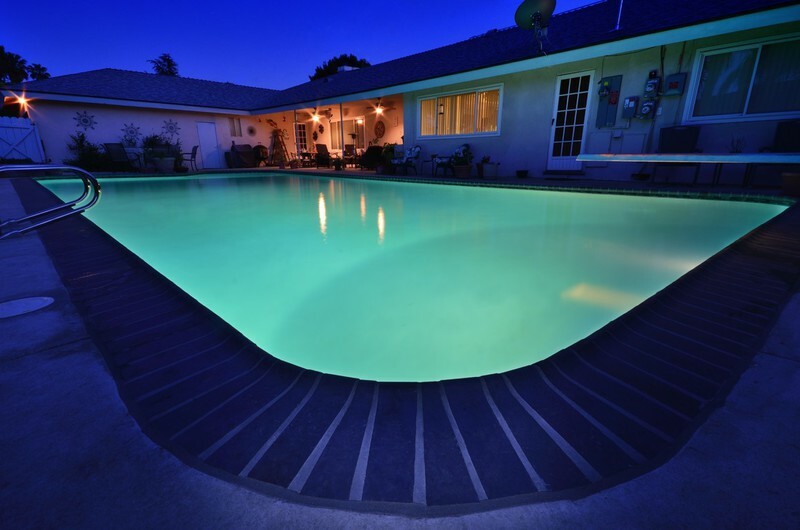 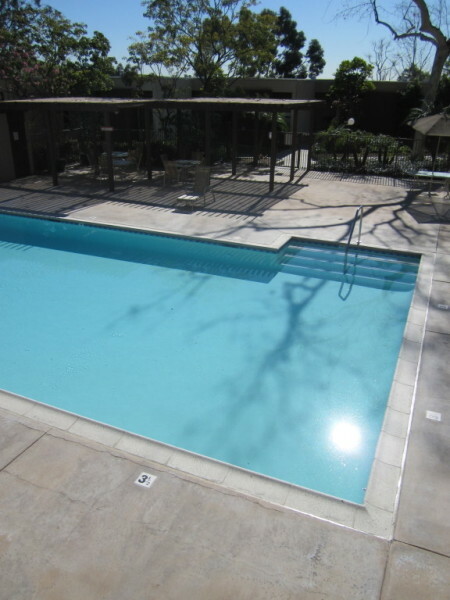 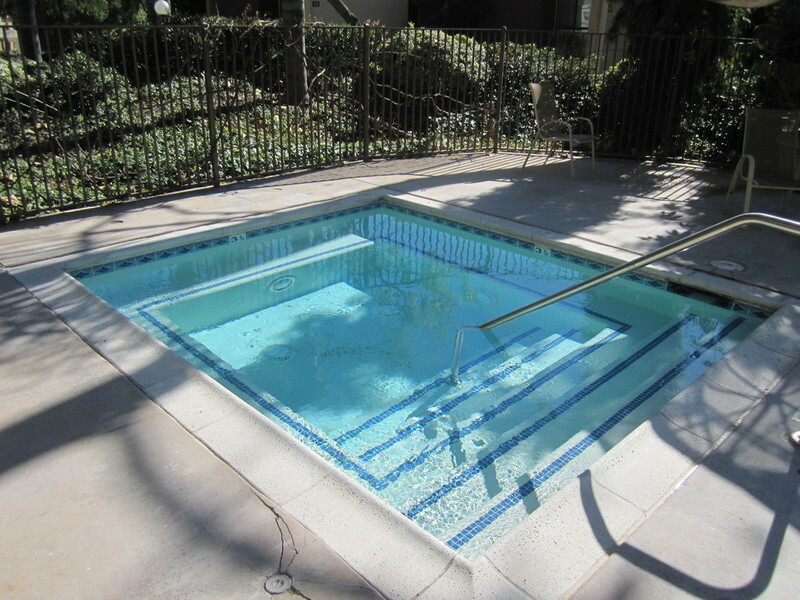 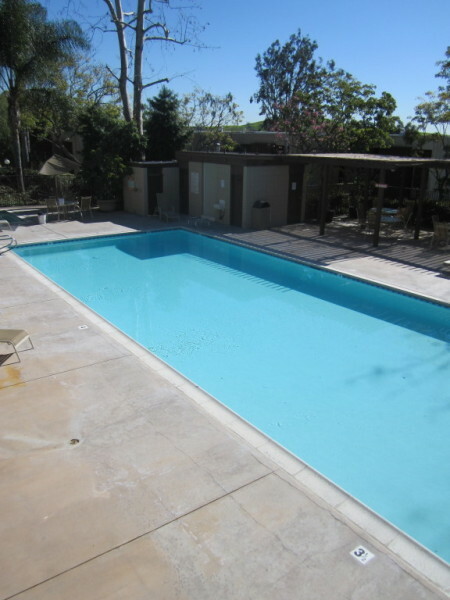 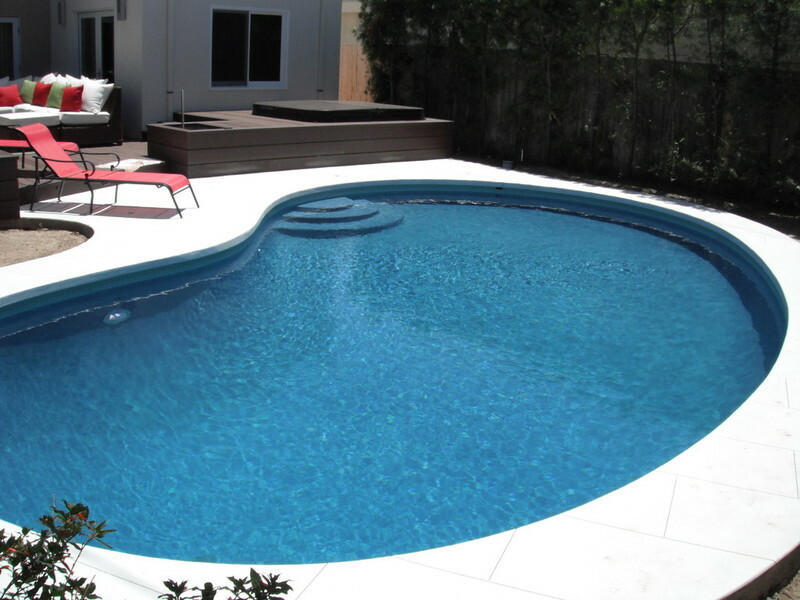 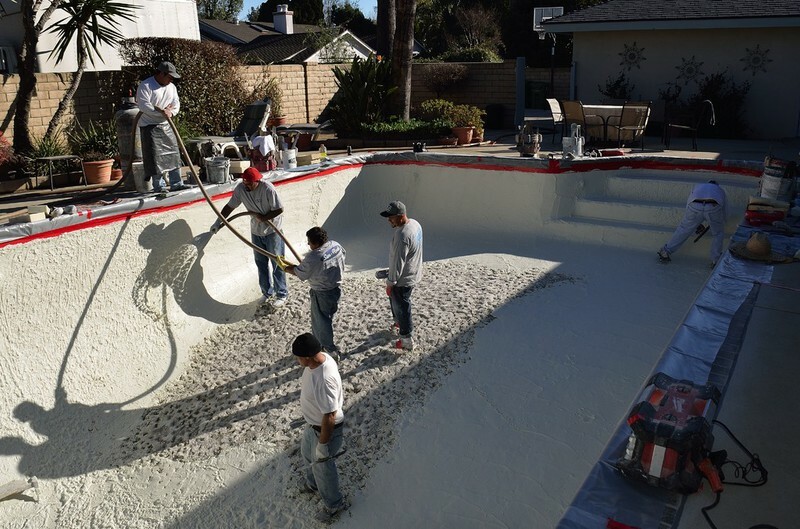 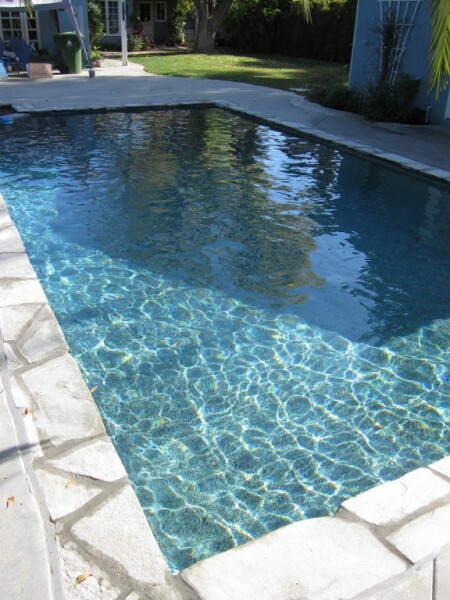 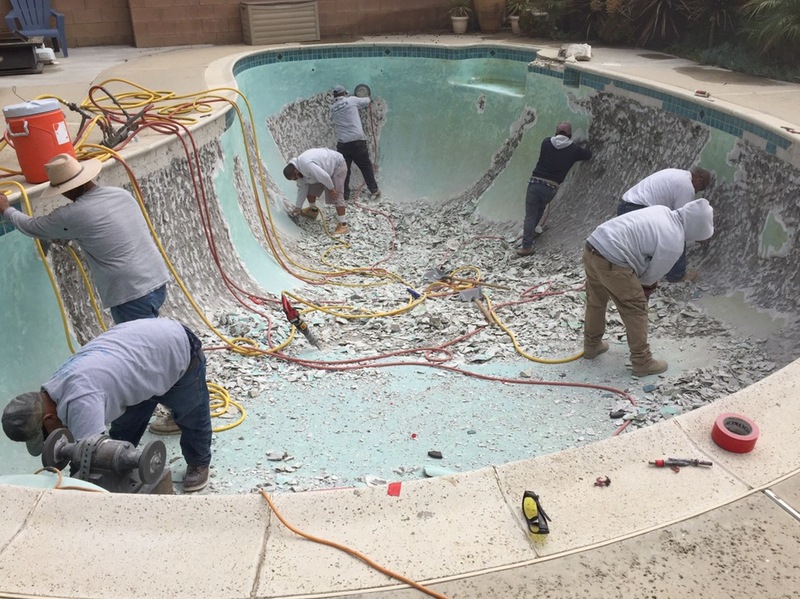 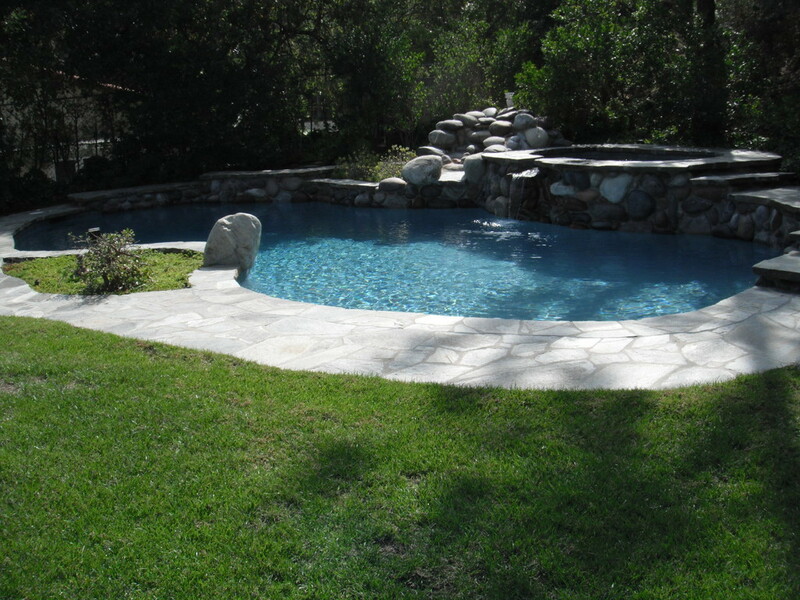 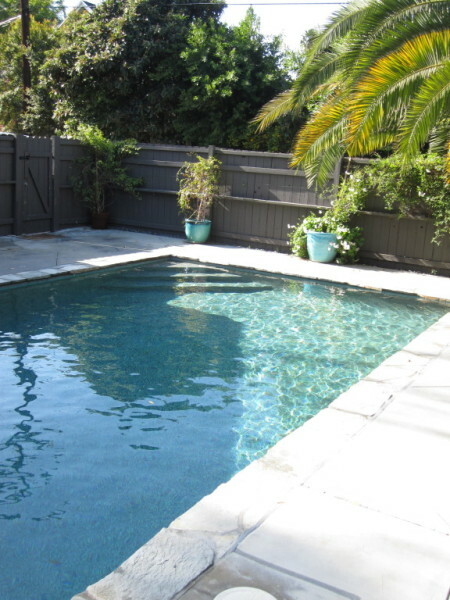 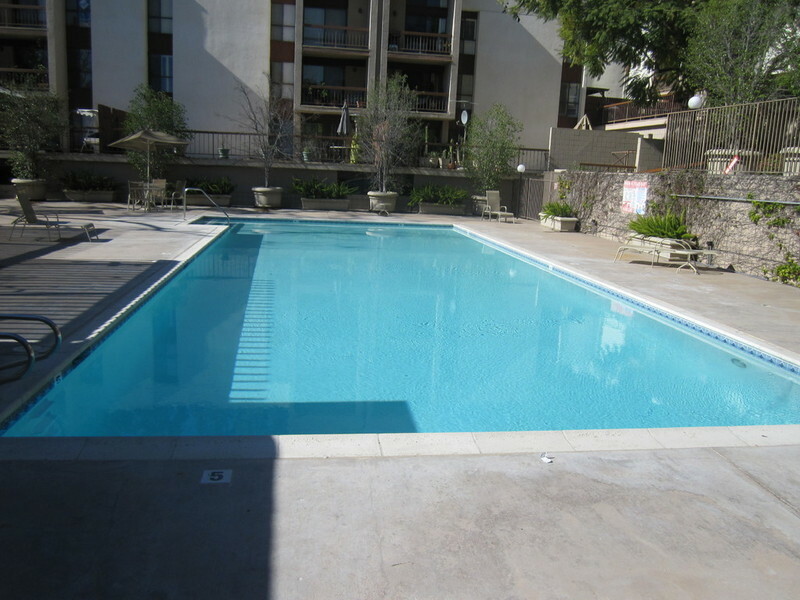 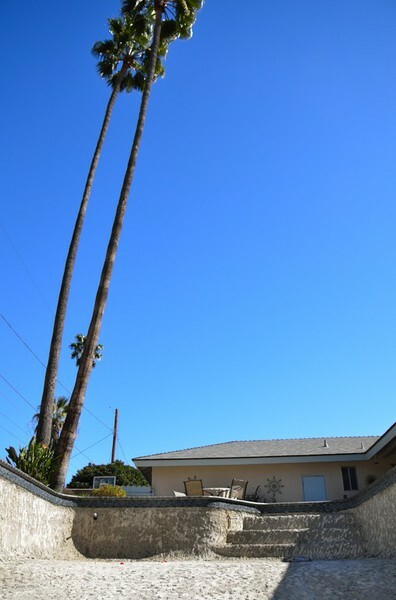 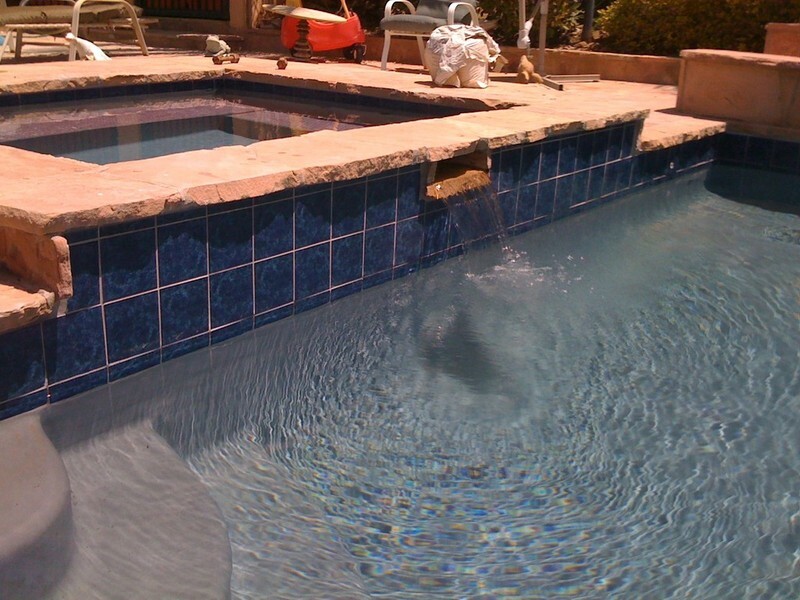 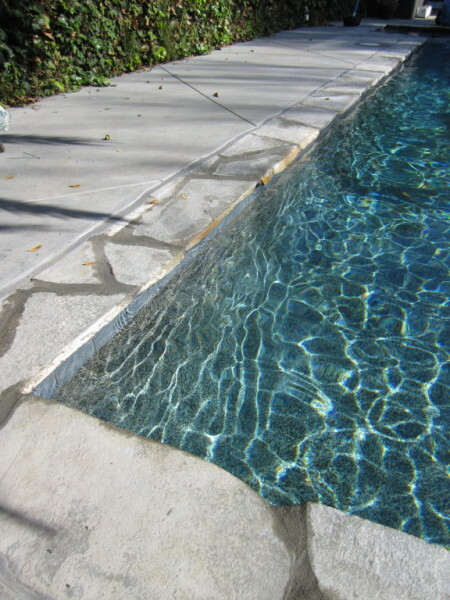 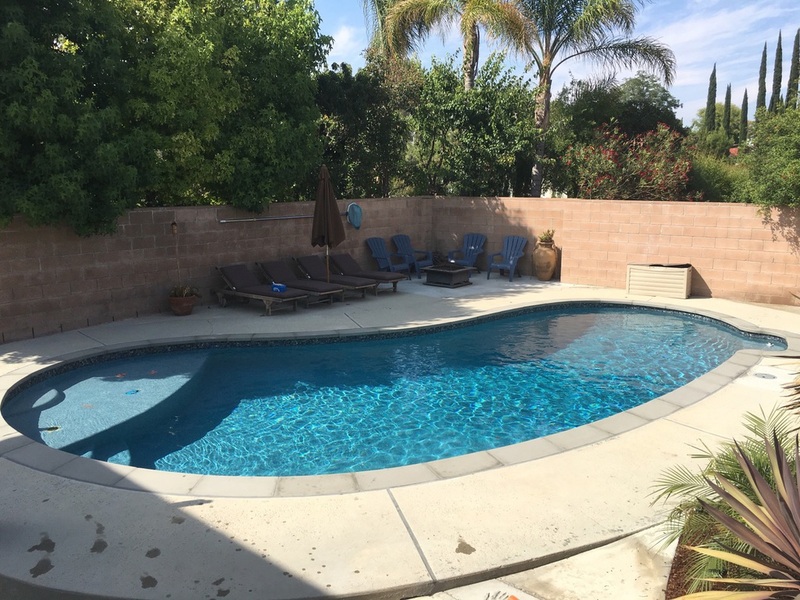 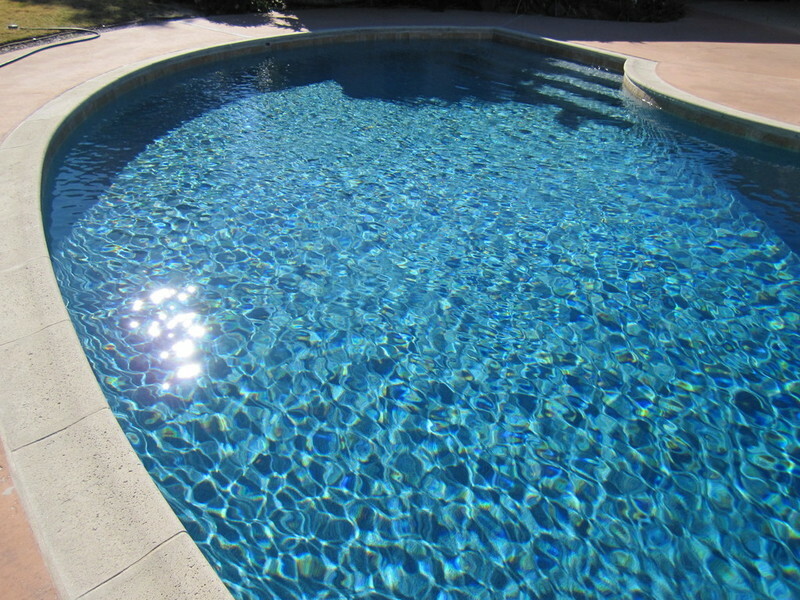 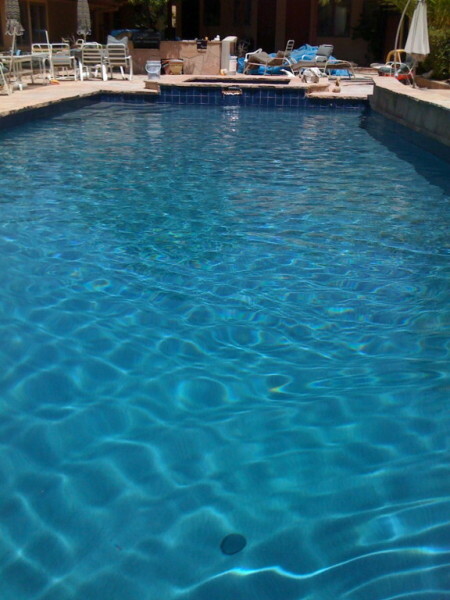 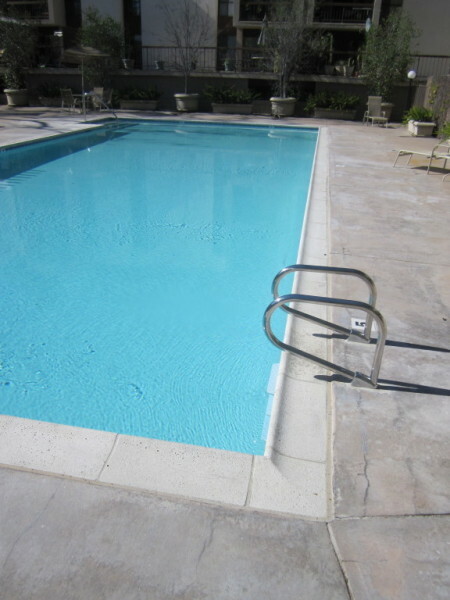 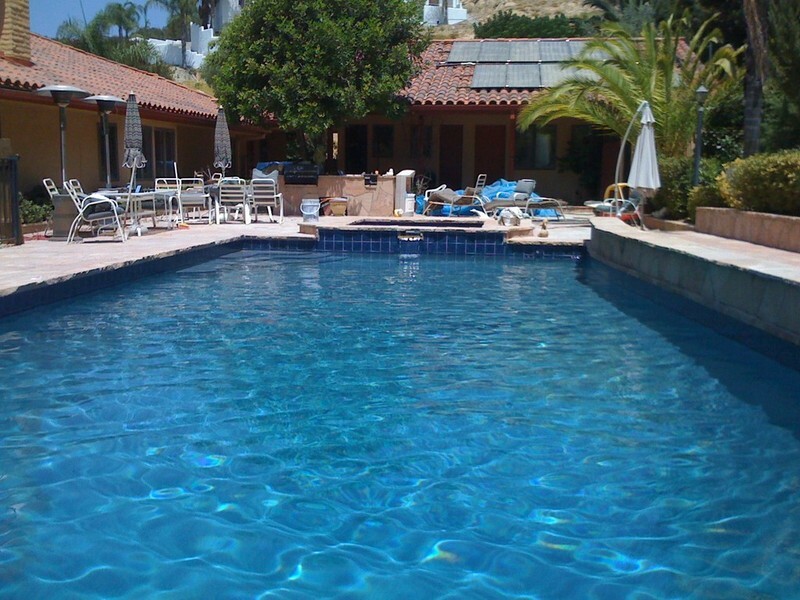 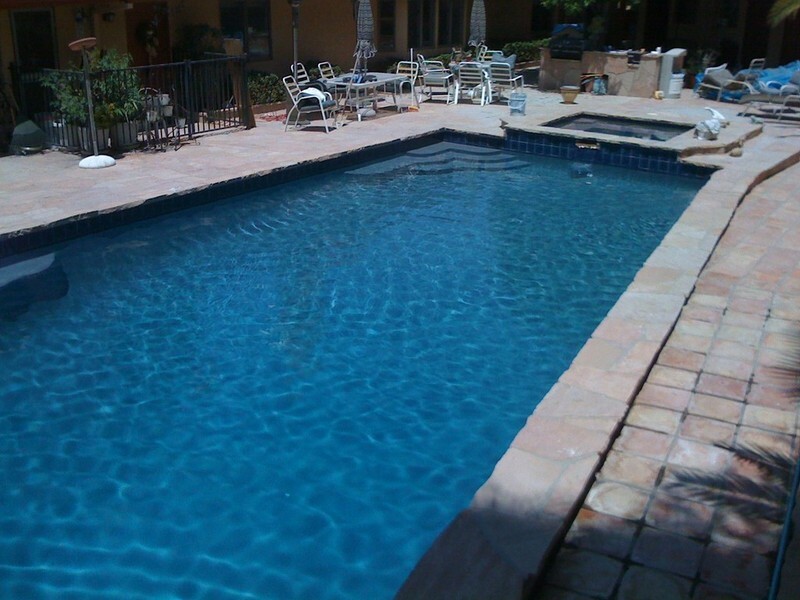 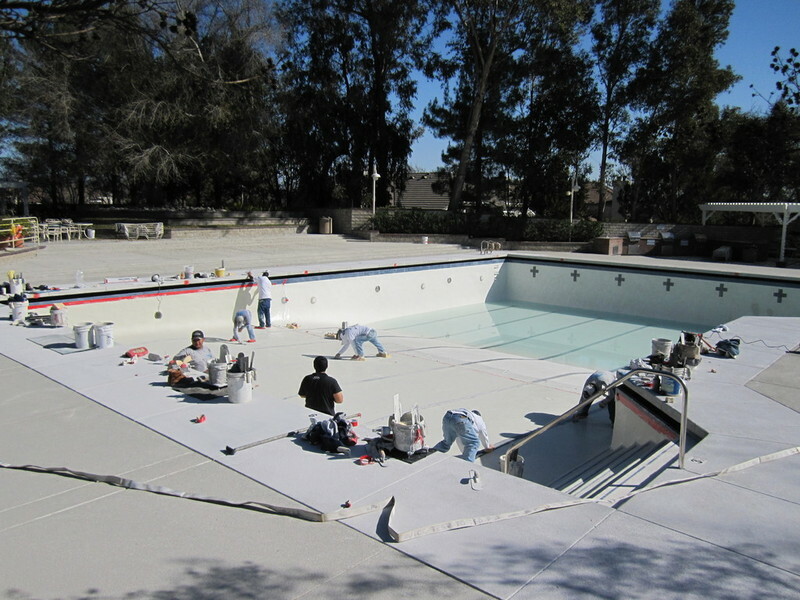 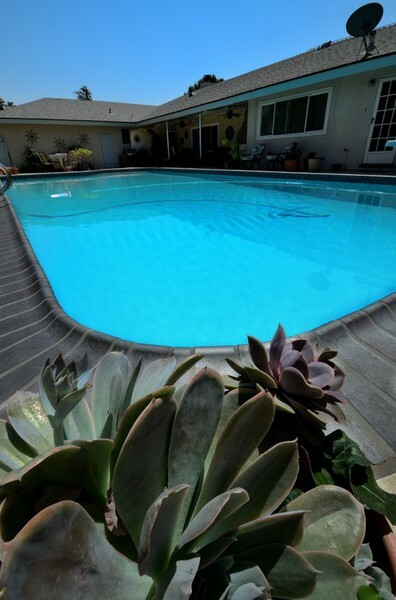 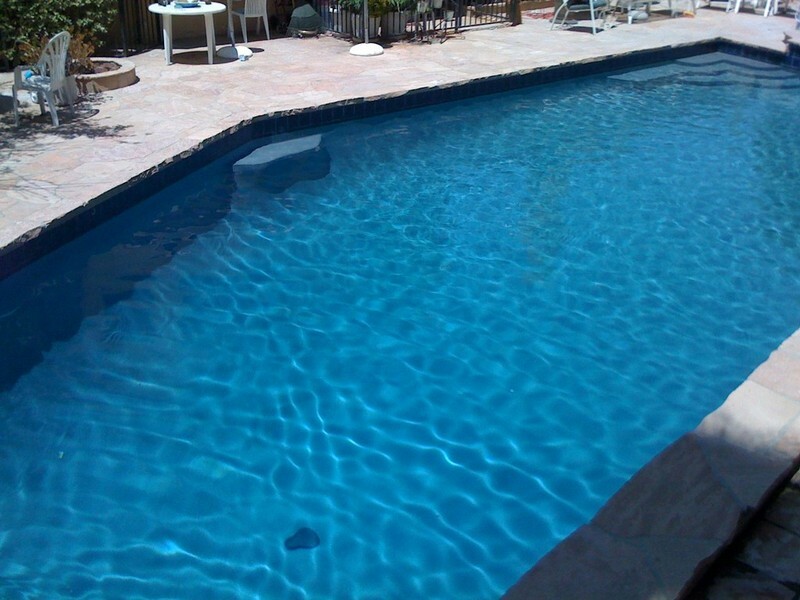 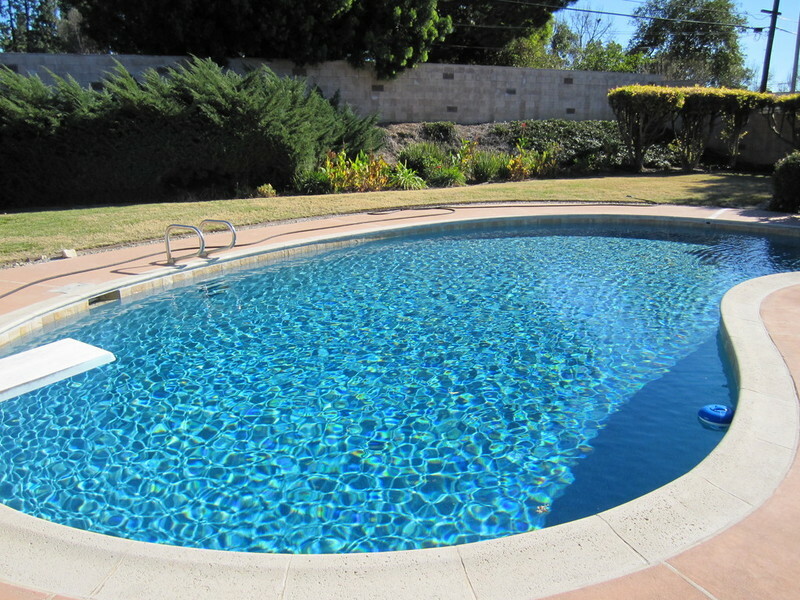 Residential Pool Northridge, CA New White Plaster, Tile, Safety Grip Brick Coping, Plumbing, Equipment and deck work. 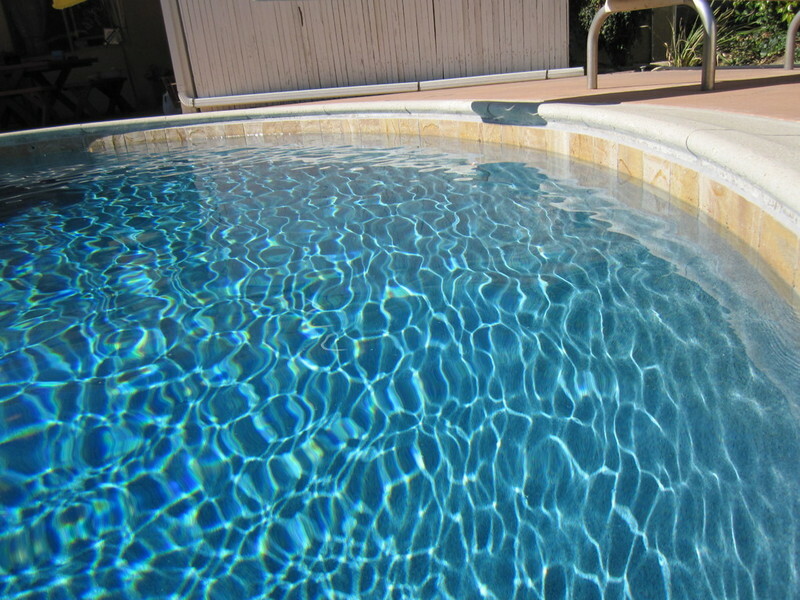 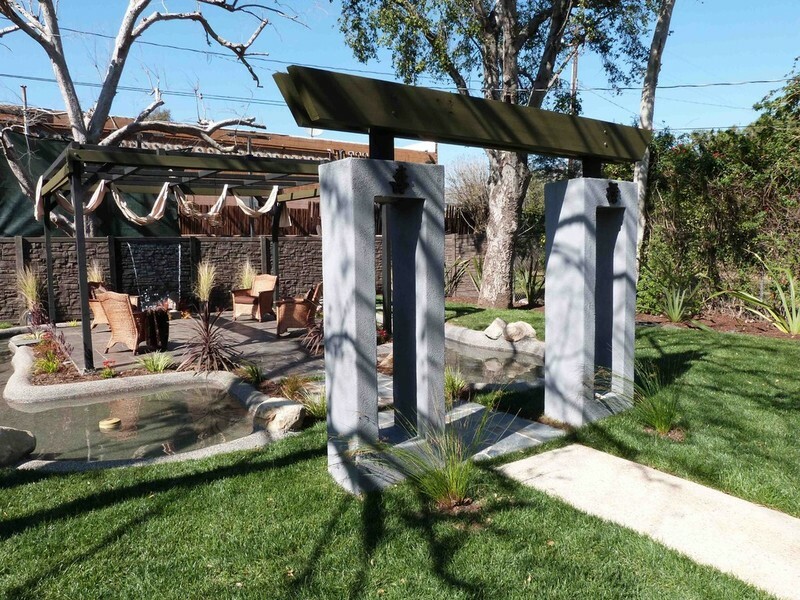 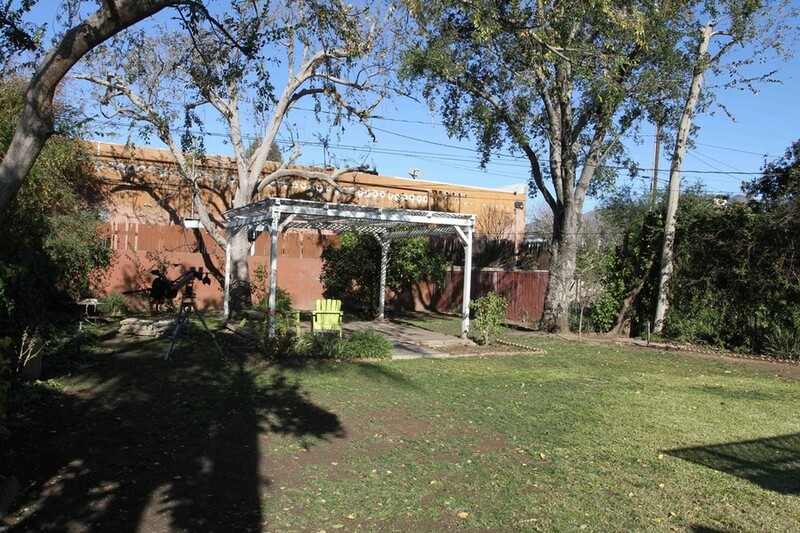 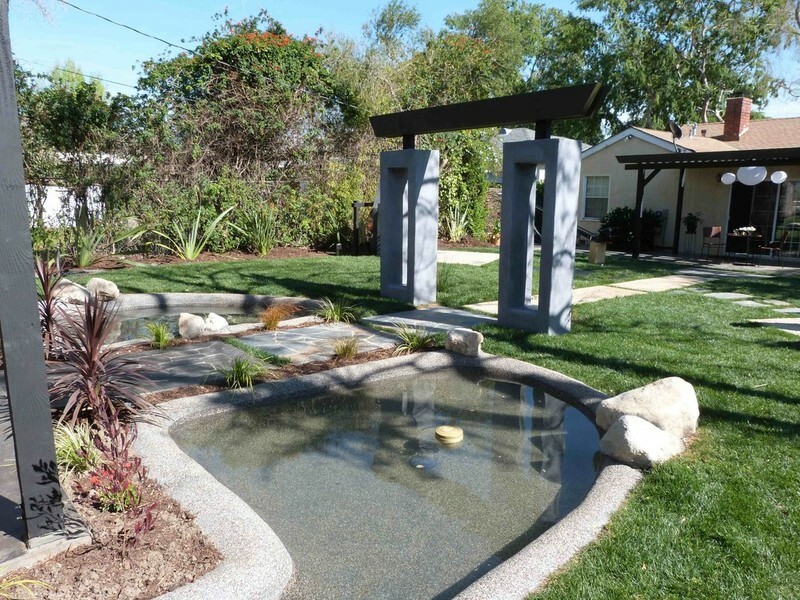 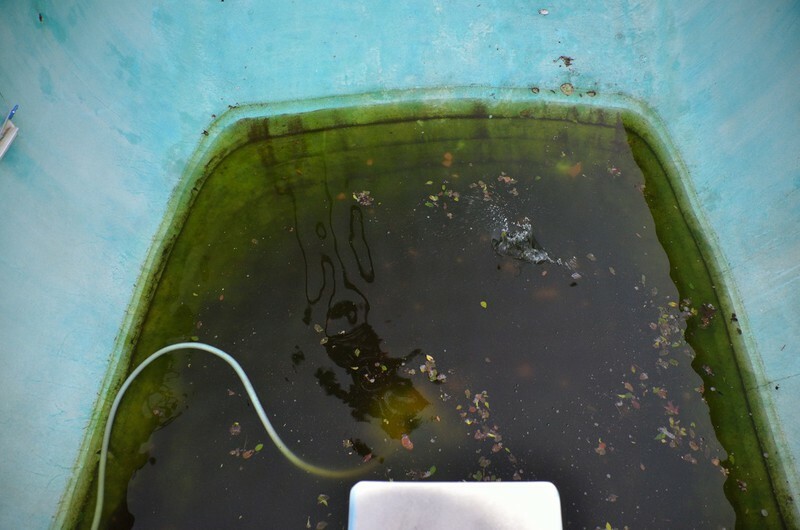 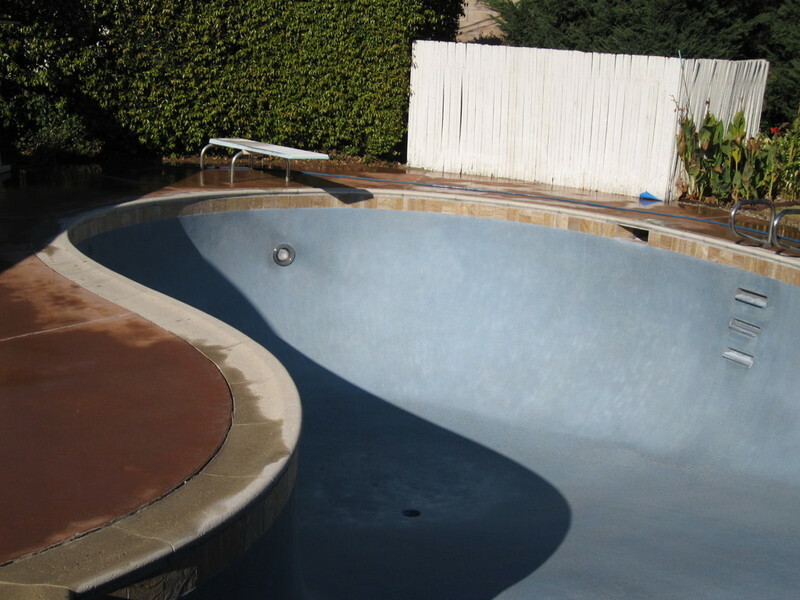 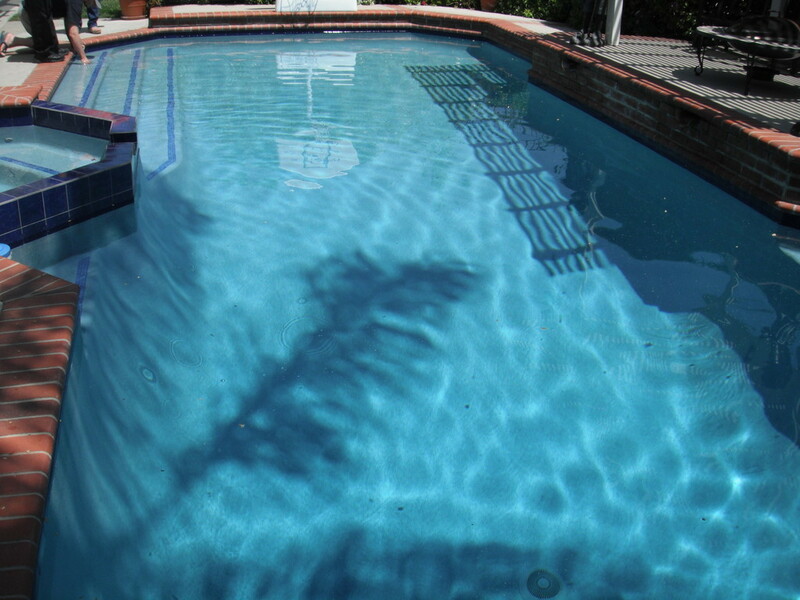 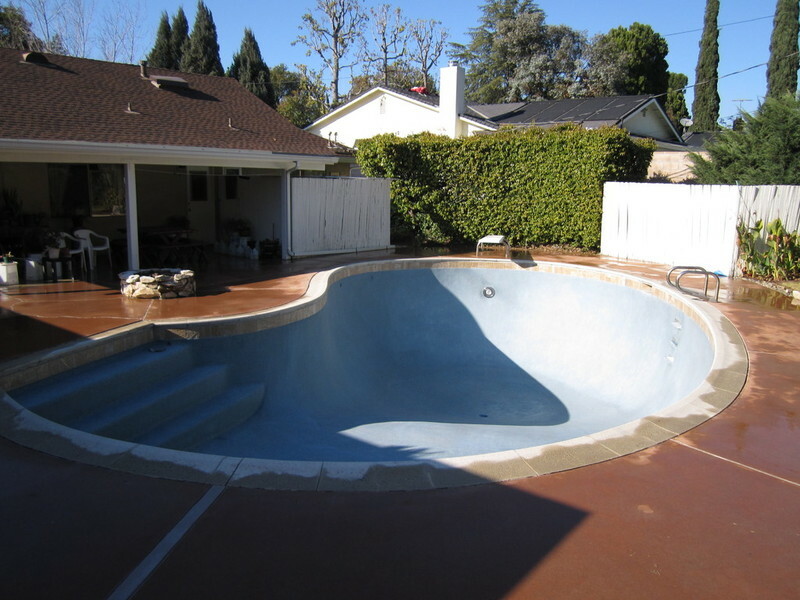 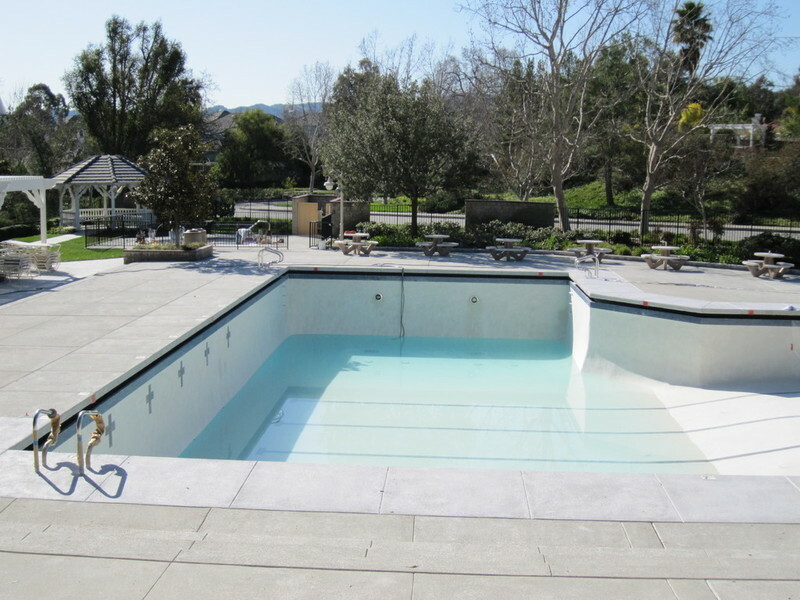 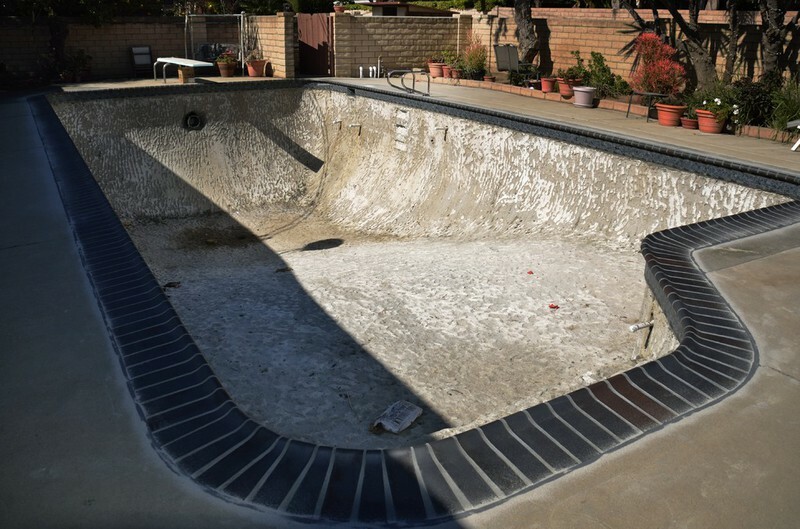 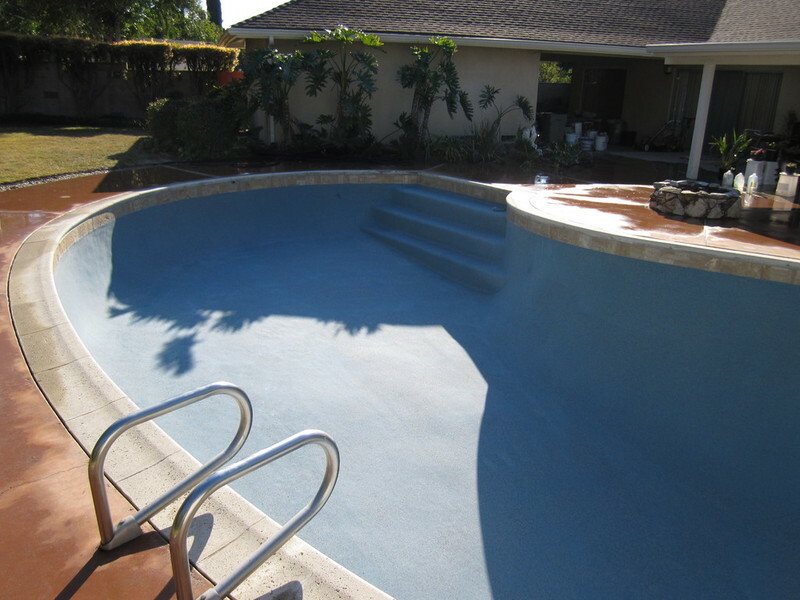 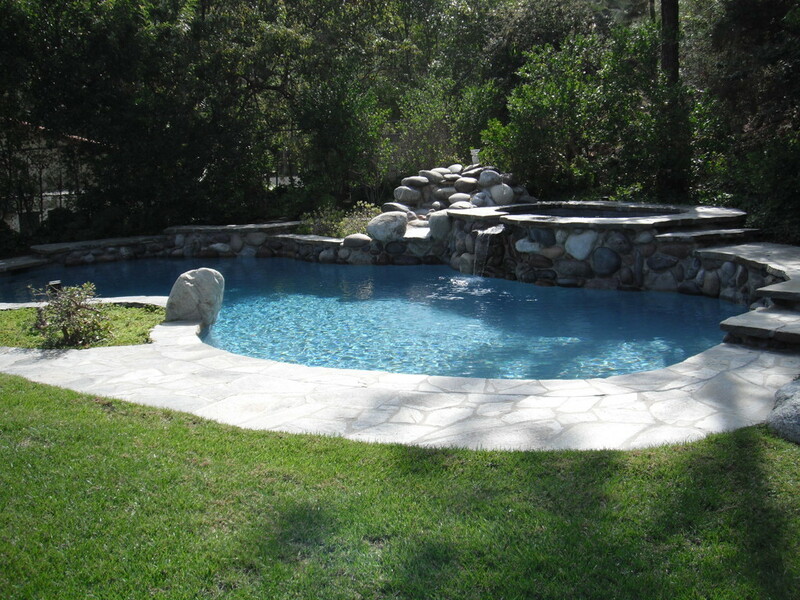 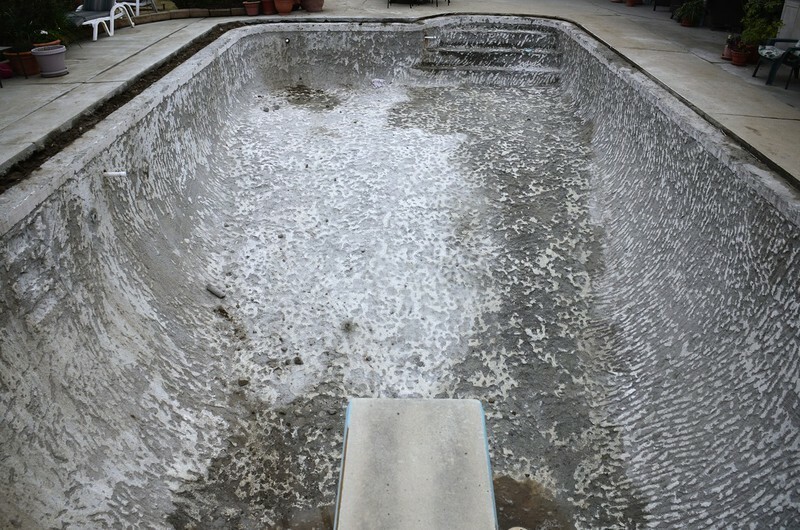 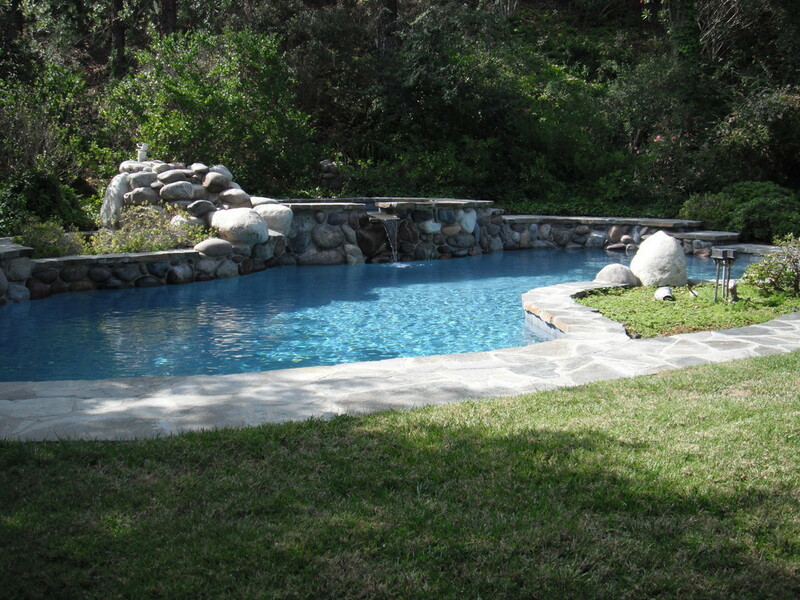 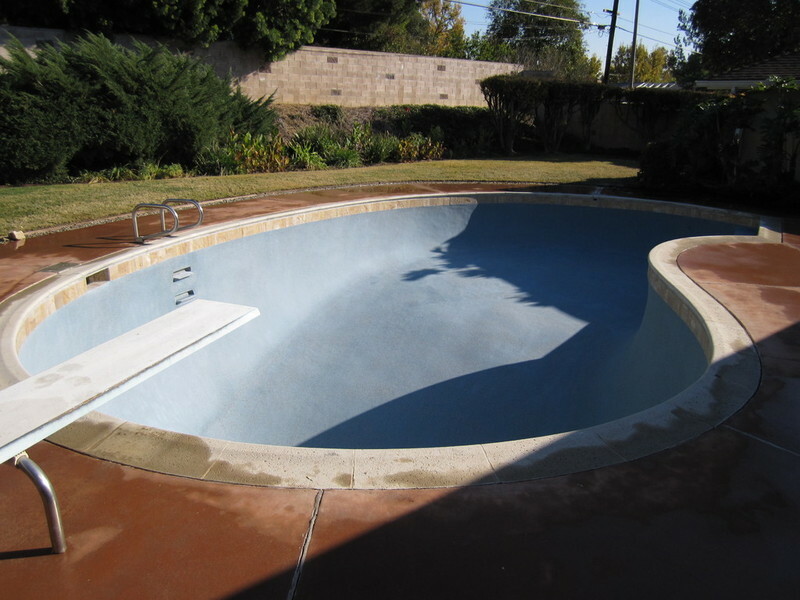 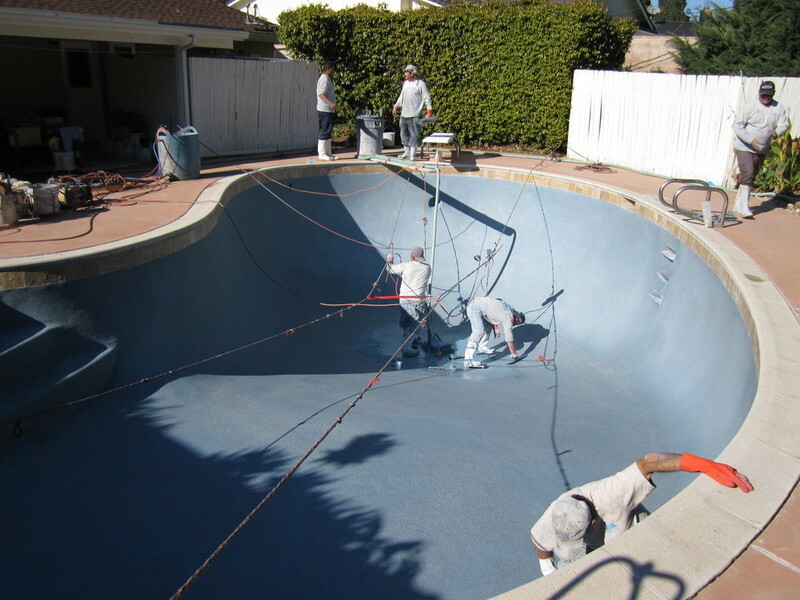 Pictures were taken after acid wash and once pool was full and start-up procedure completed. 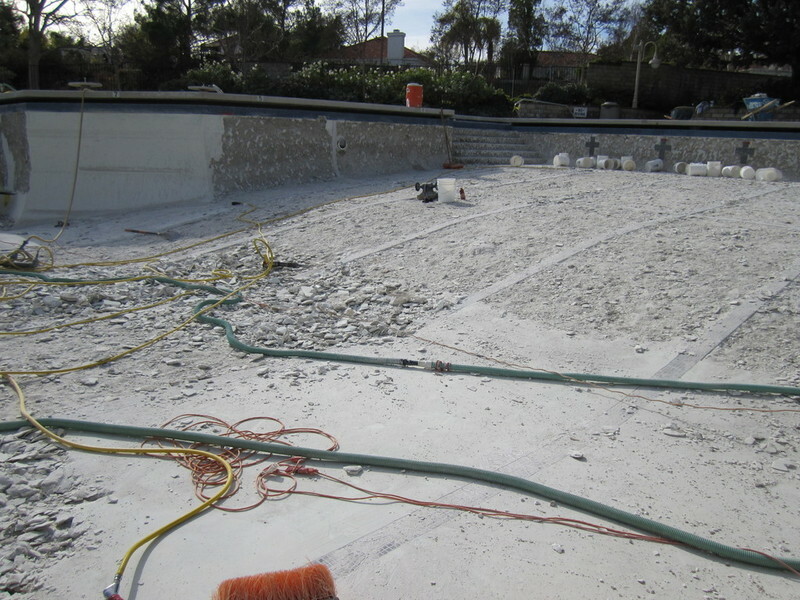 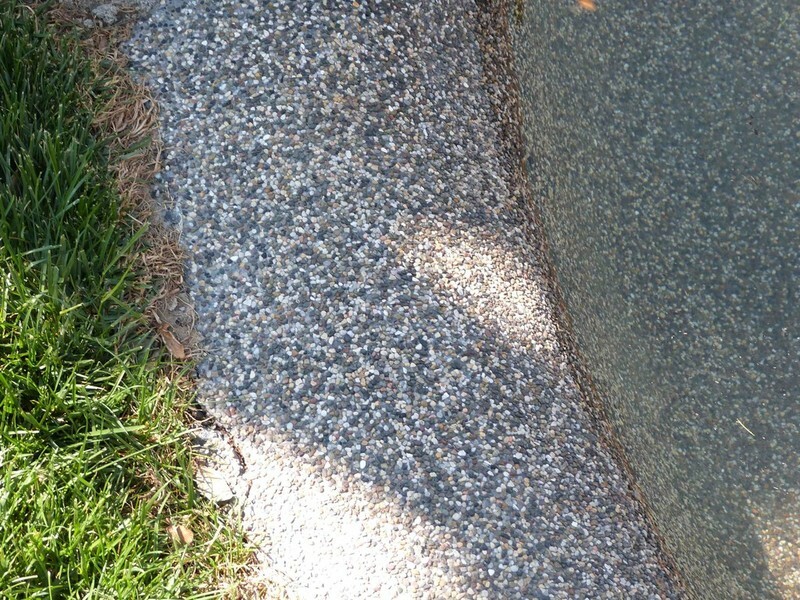 Picture were taken during pebble application, shown is the somewhat complex process during this application. 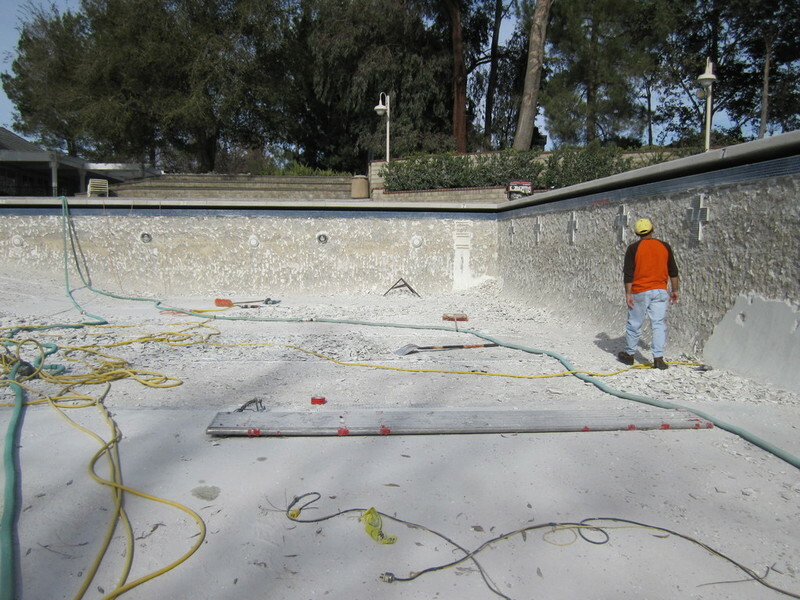 Also includes pictures once pool was full of water and start-up procedure completed. 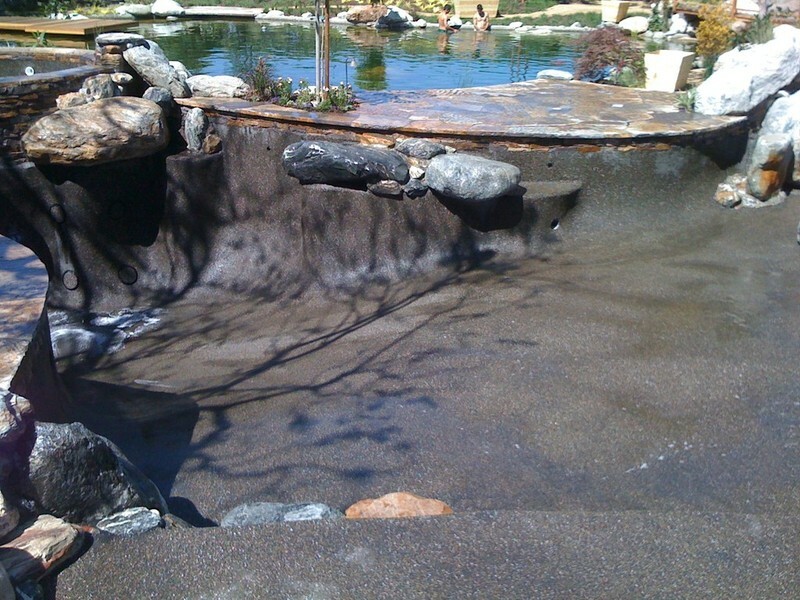 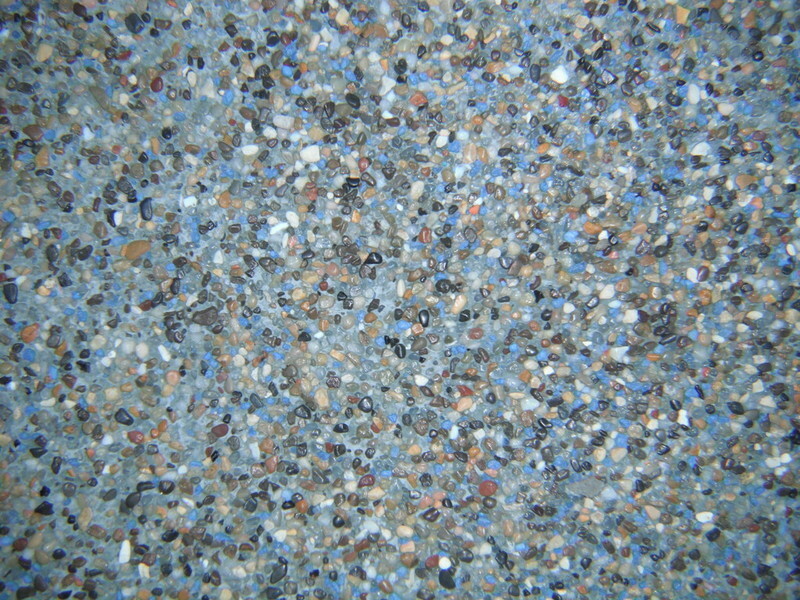 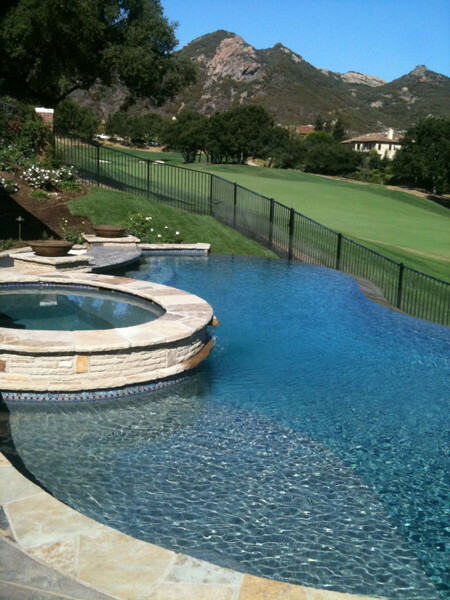 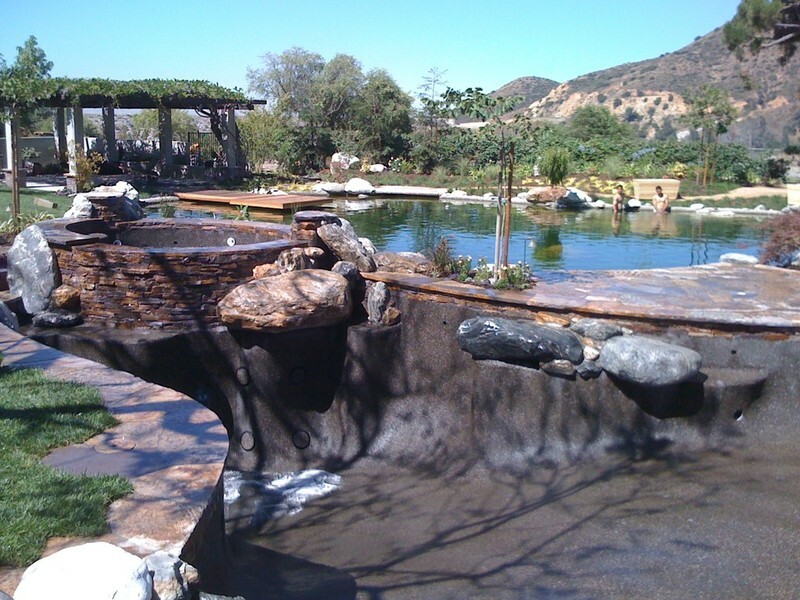 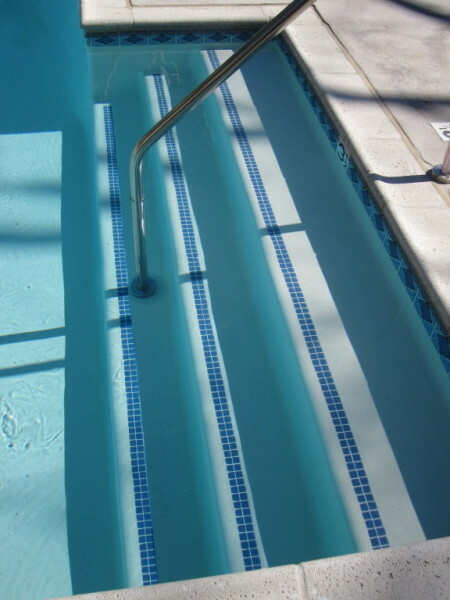 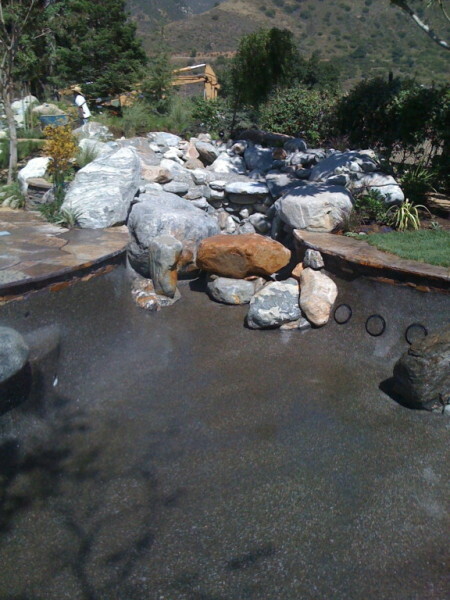 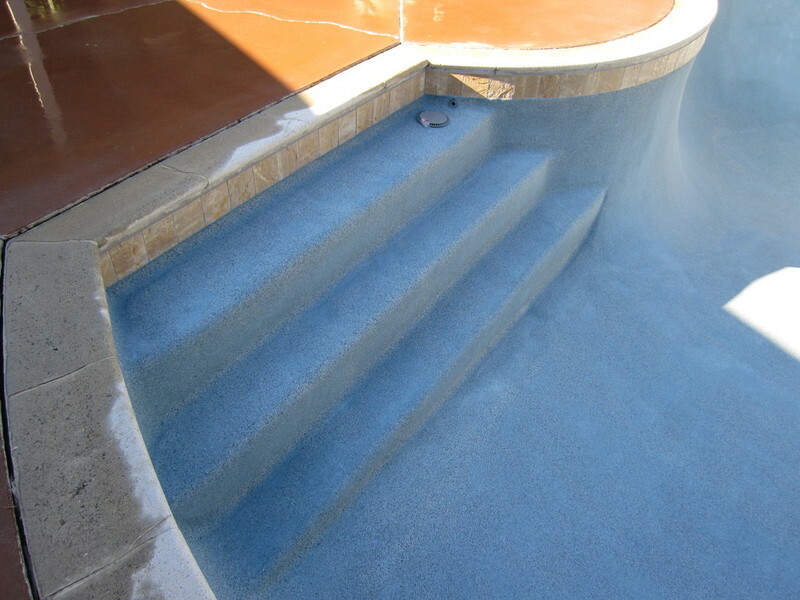 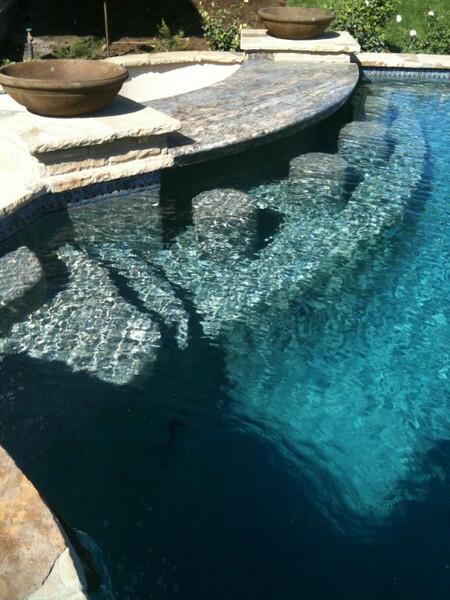 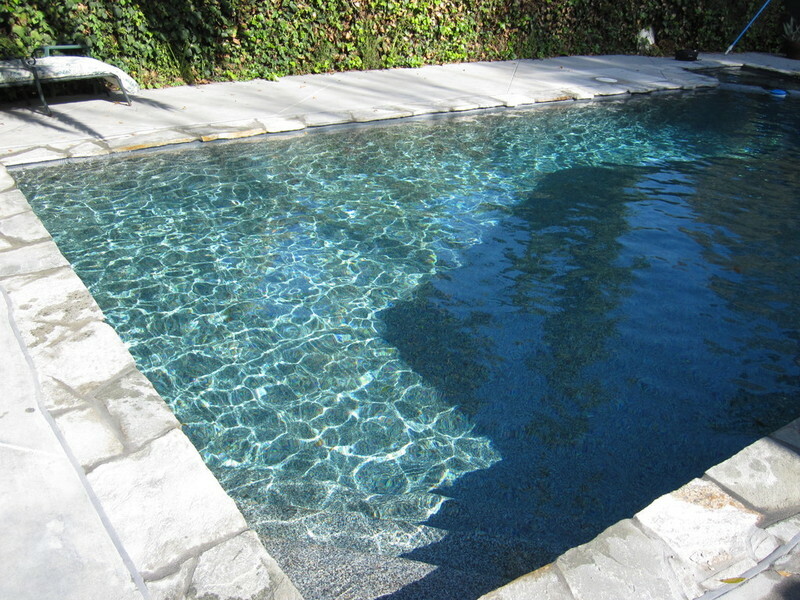 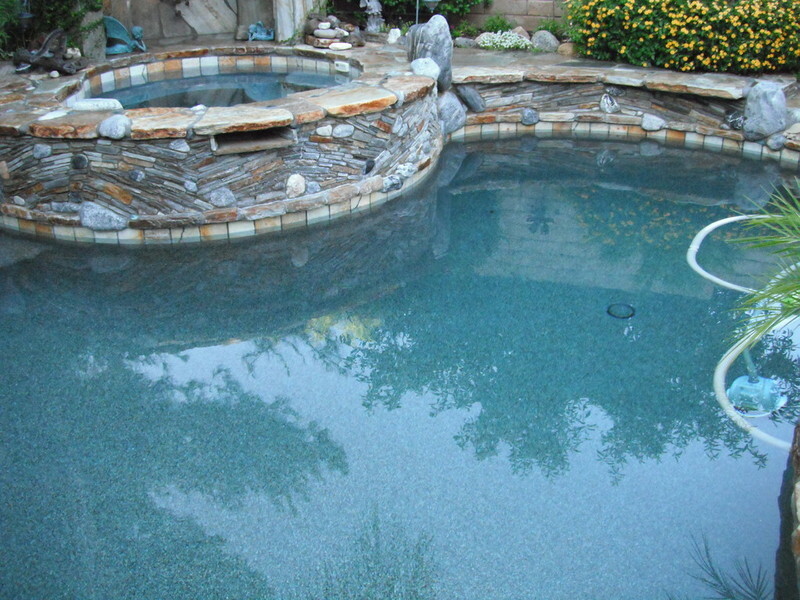 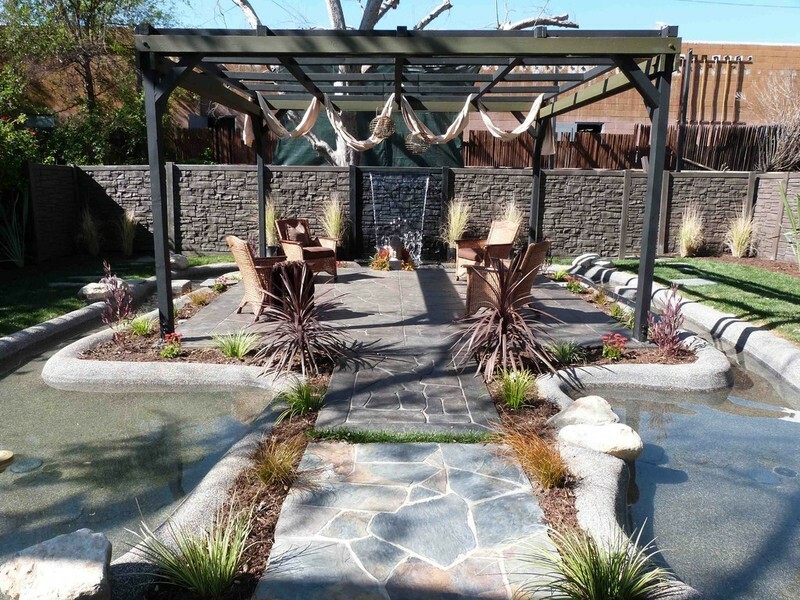 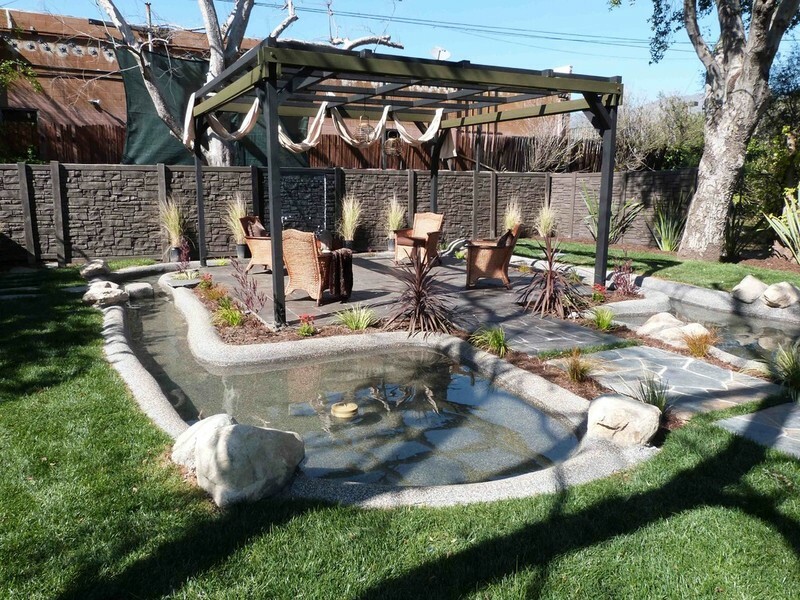 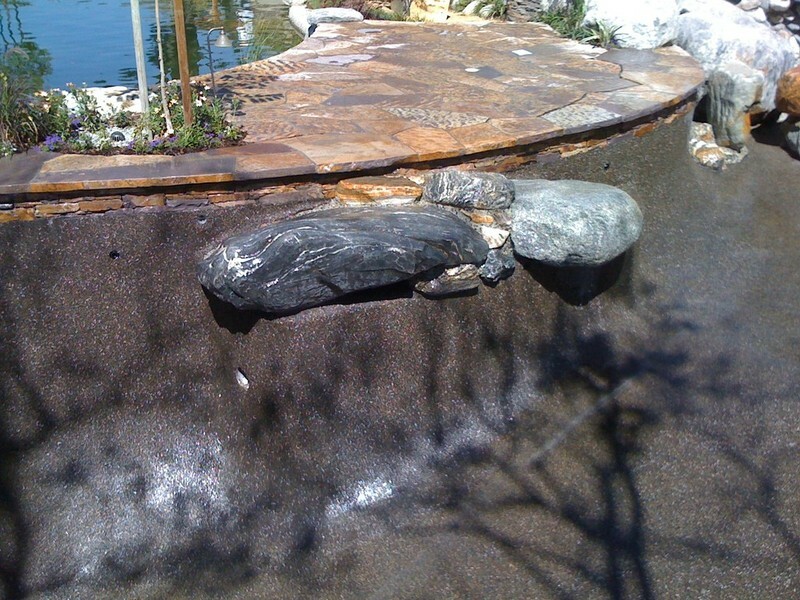 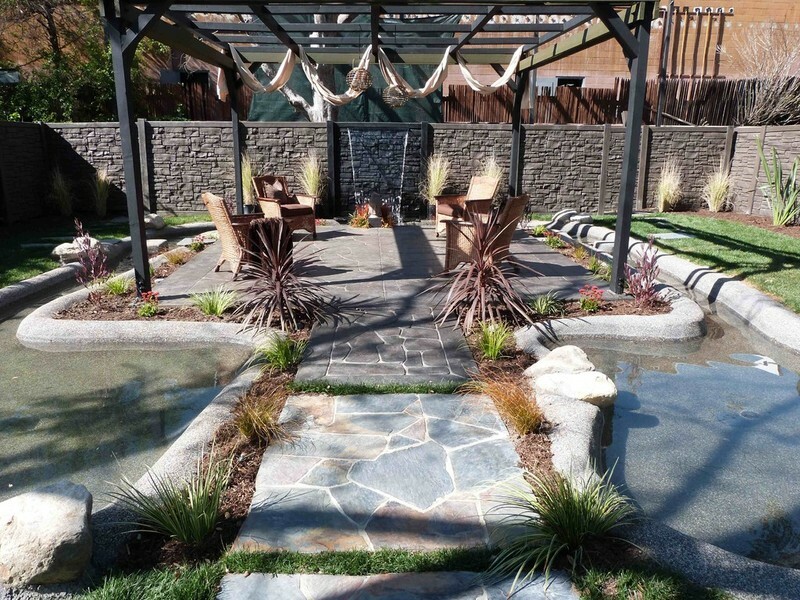 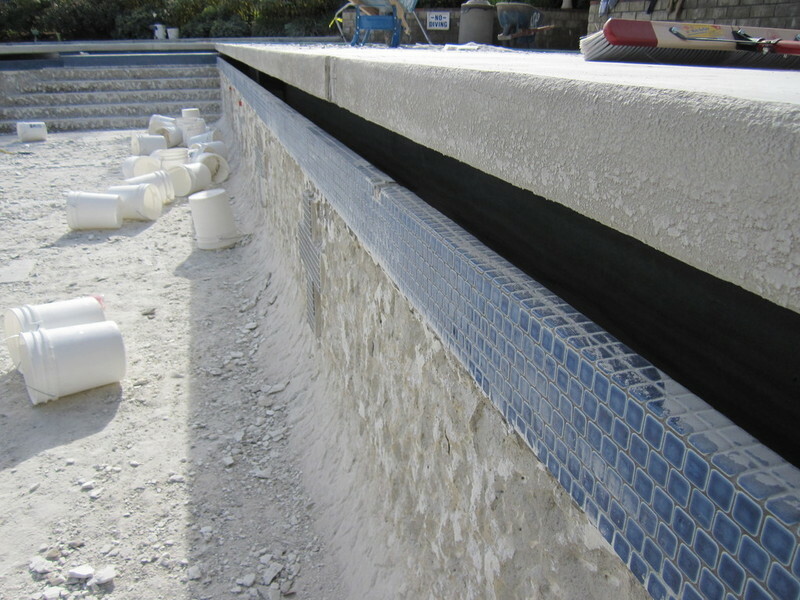 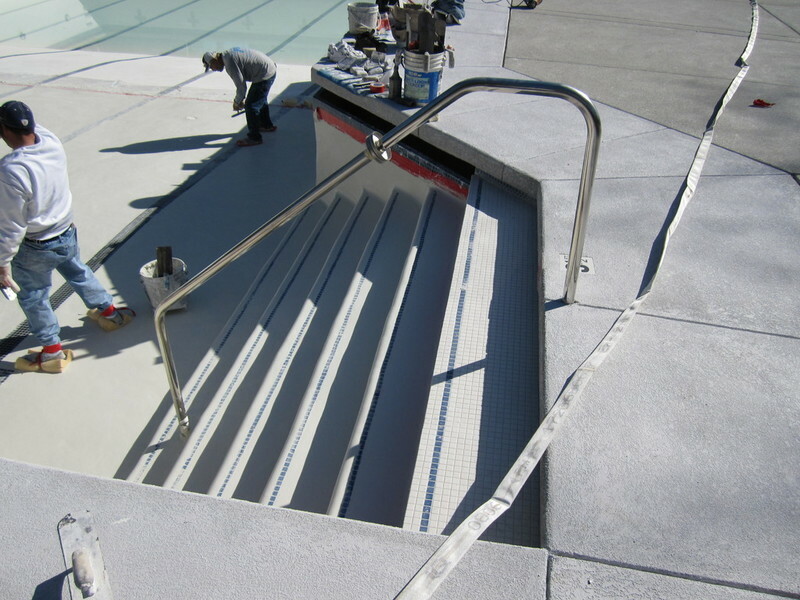 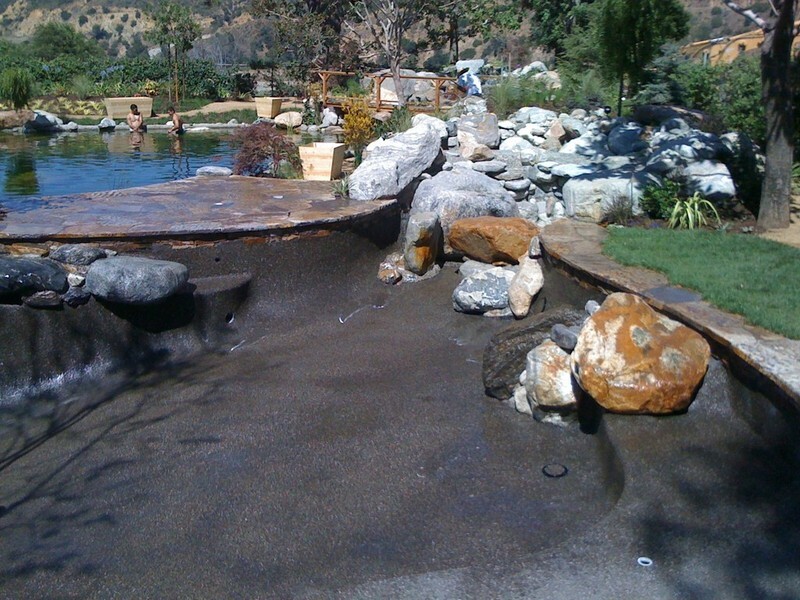 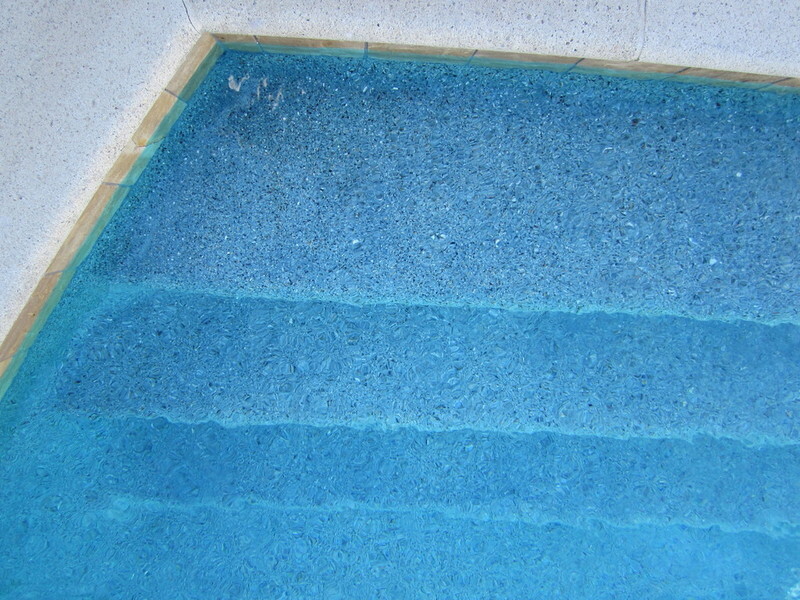 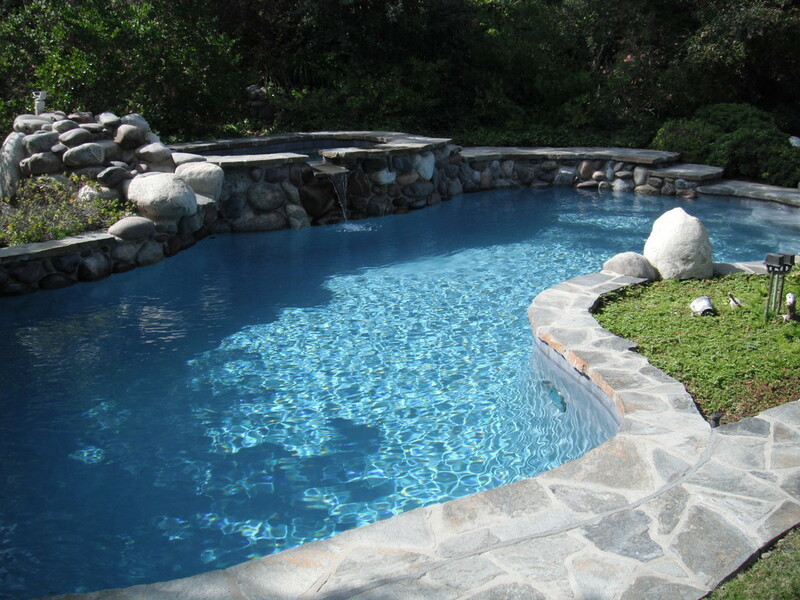 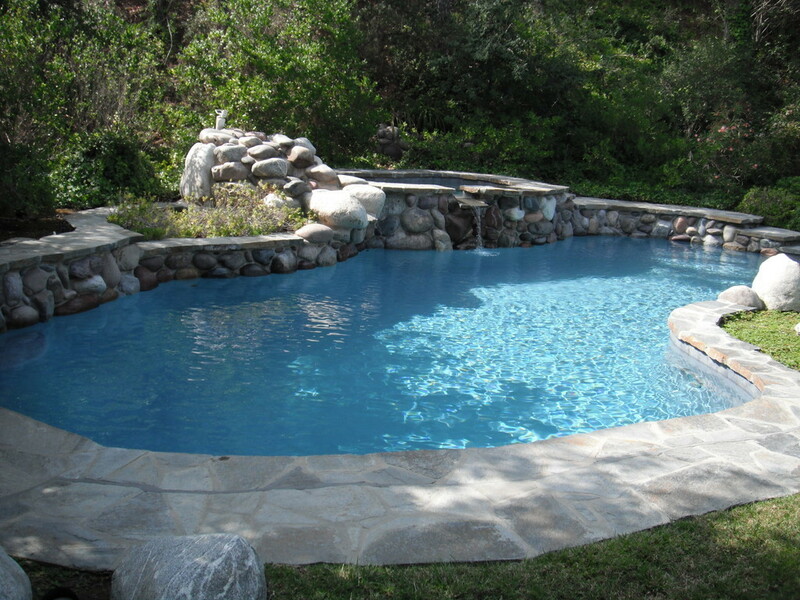 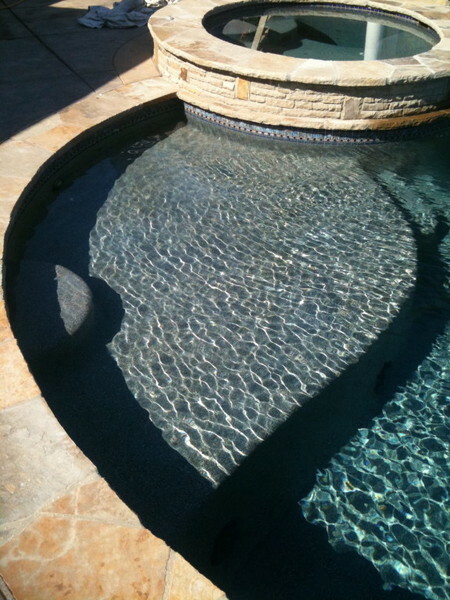 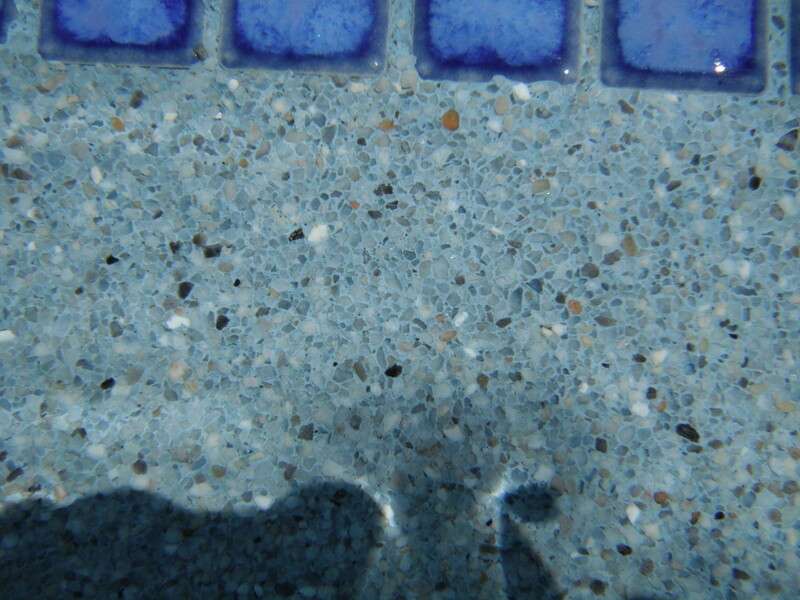 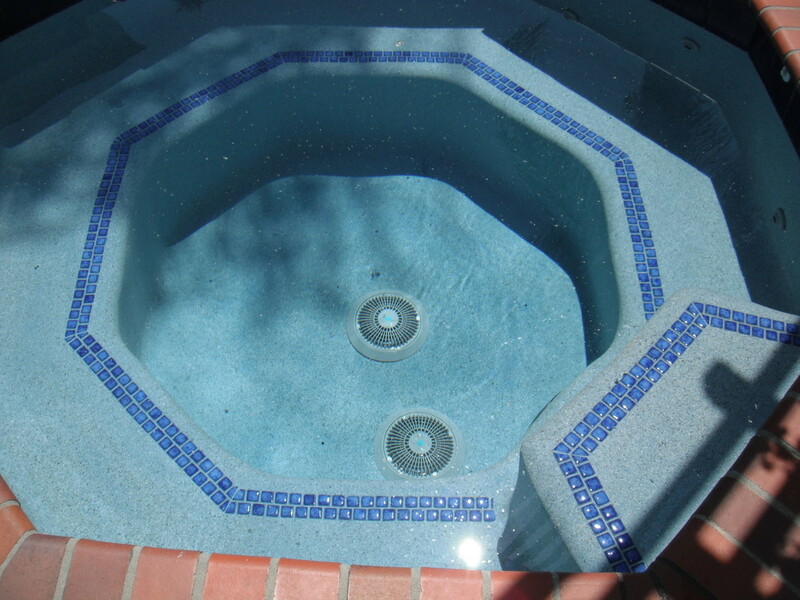 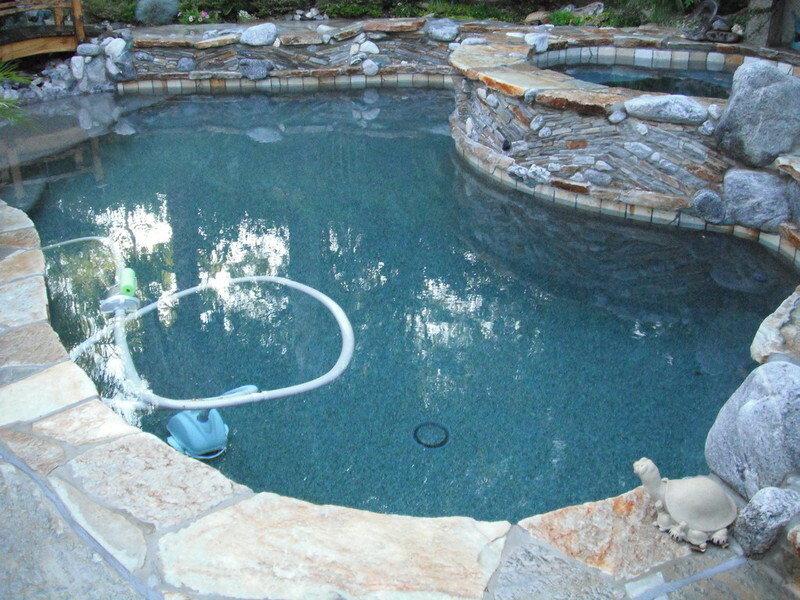 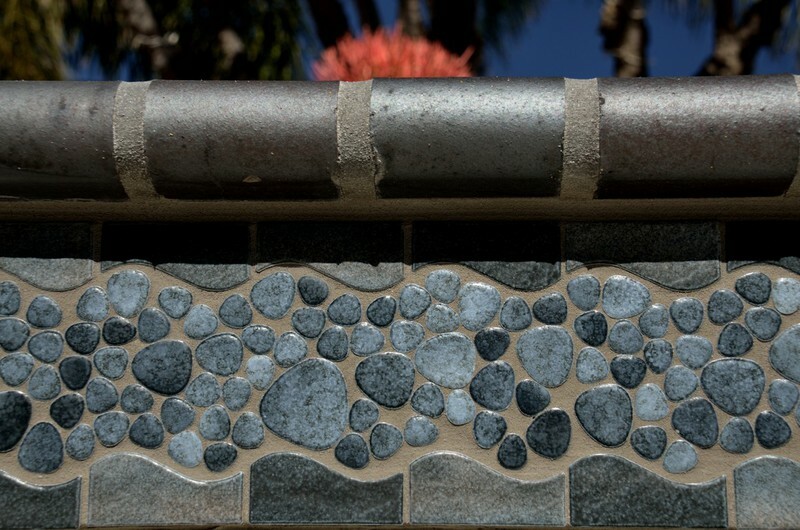 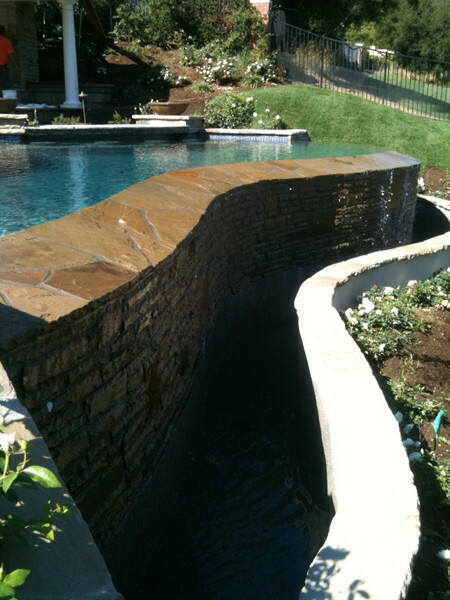 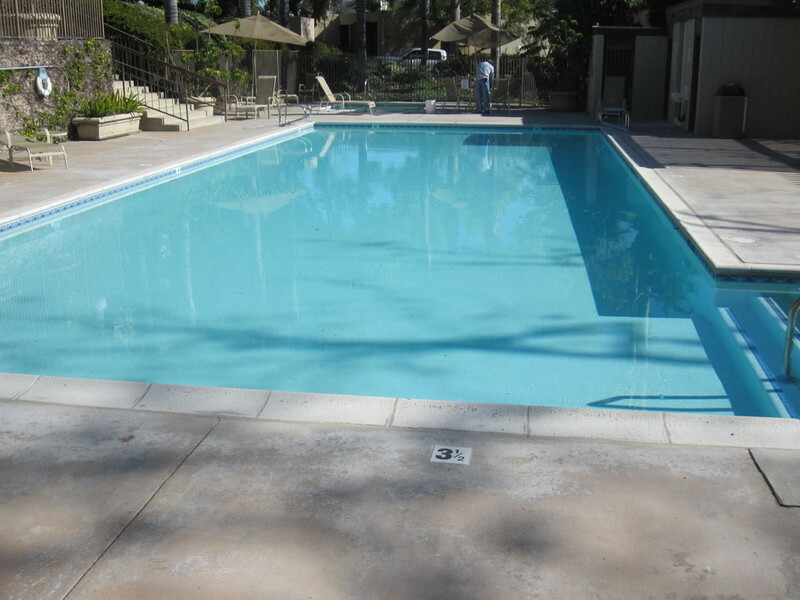 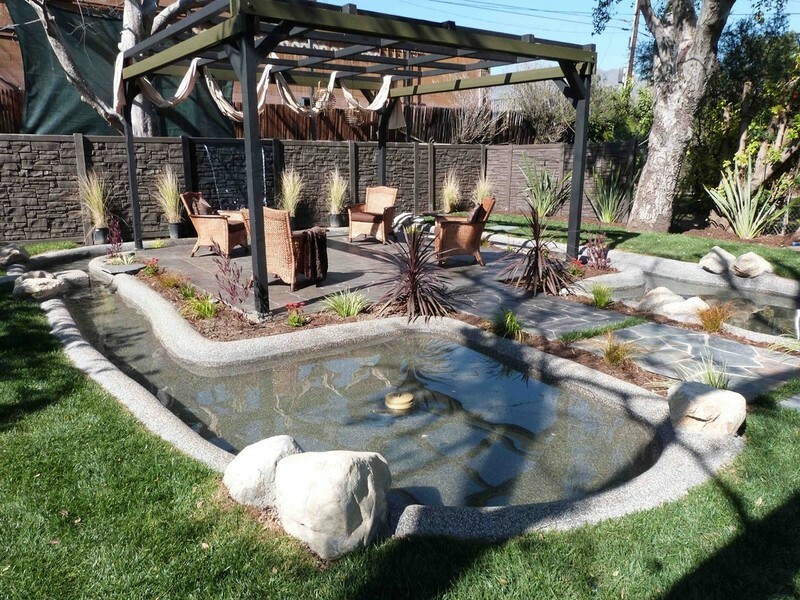 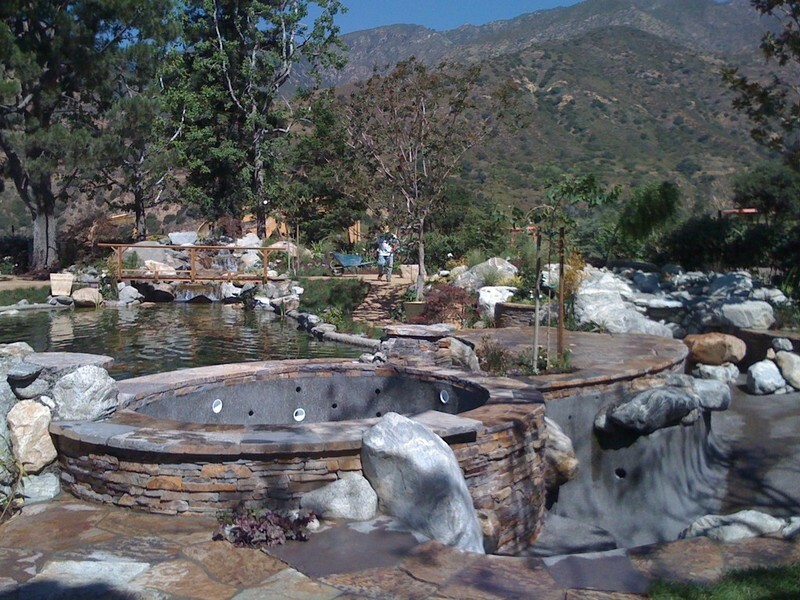 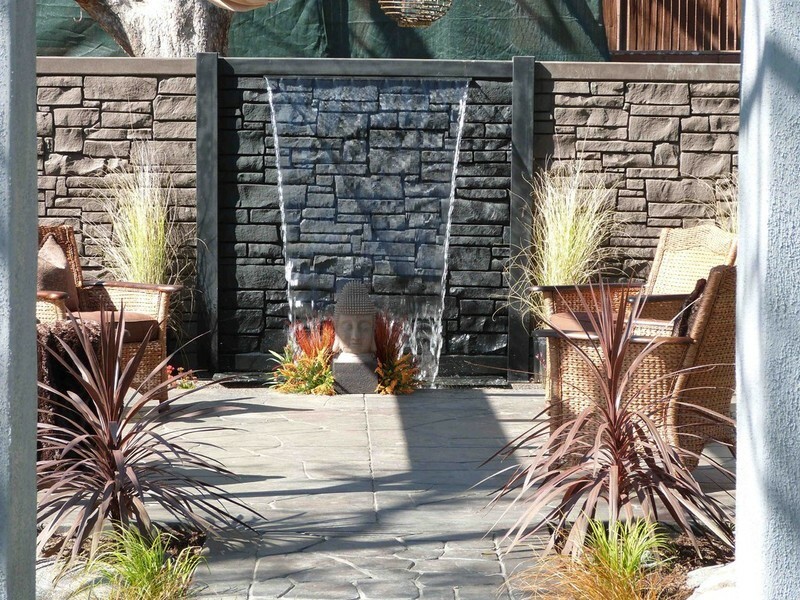 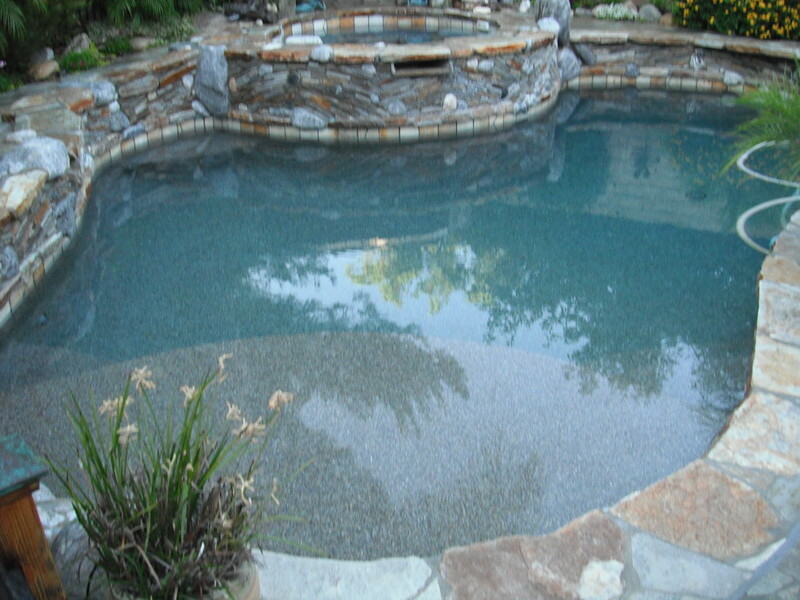 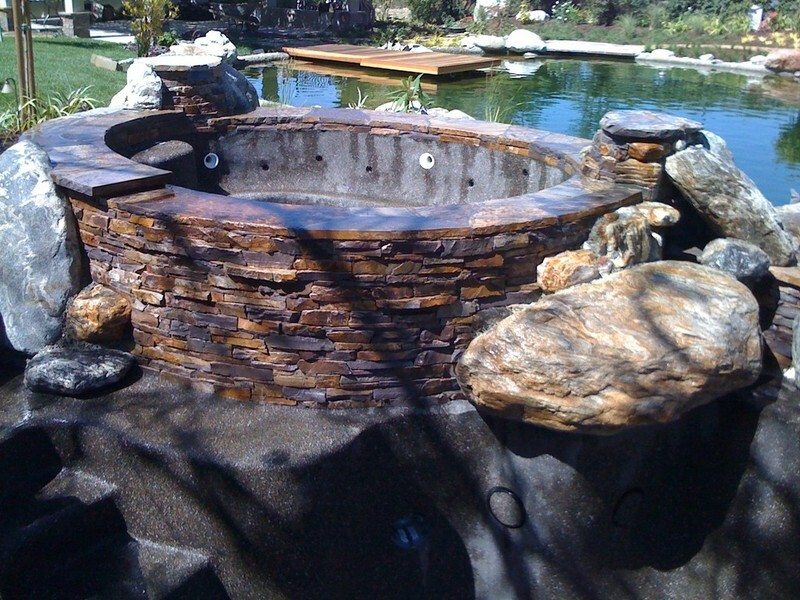 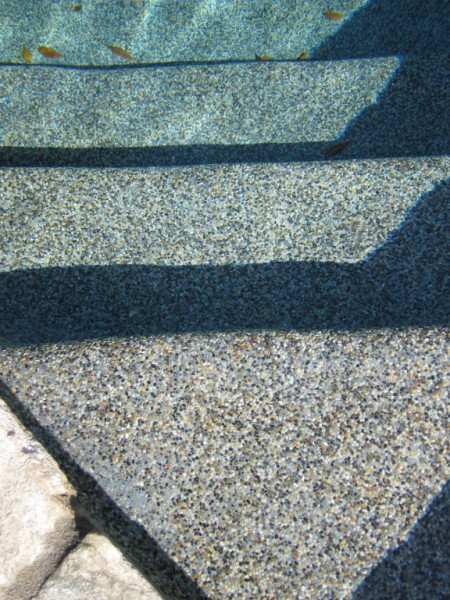 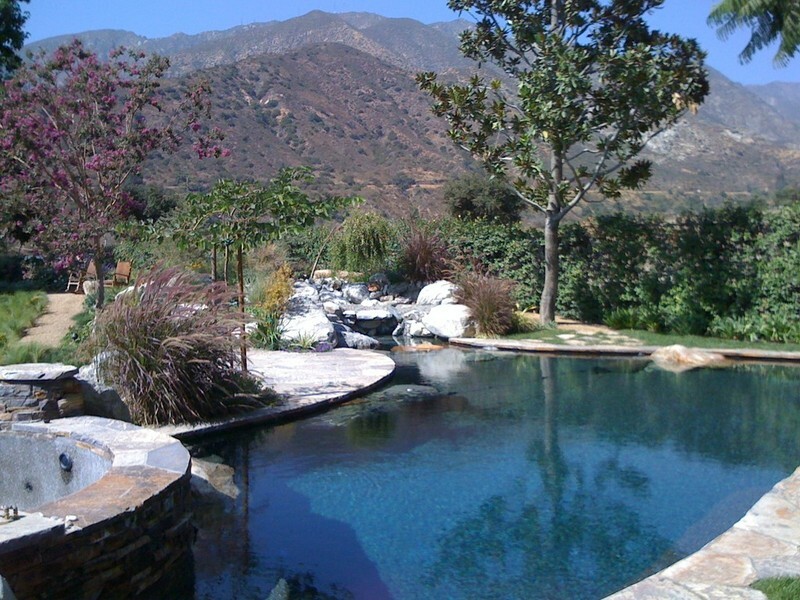 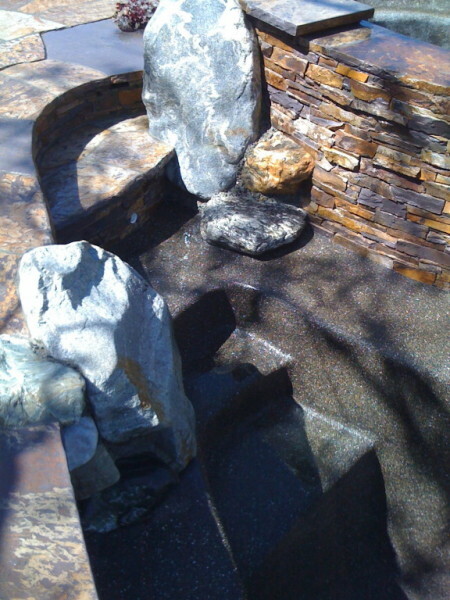 Contract: Strip pool and spa apply Tahoe Blue Pebble Rock finish and Retile. 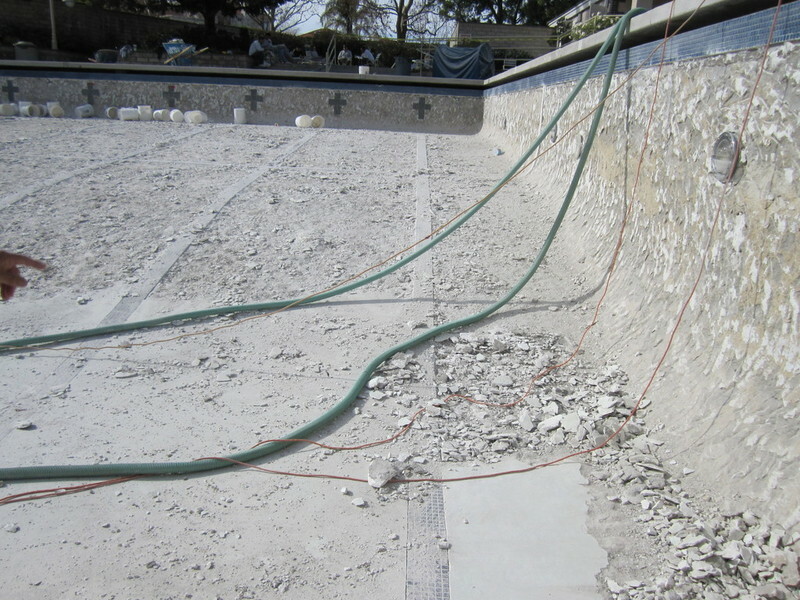 Pictures were taken during demolition of old plaster and application of new plaster. 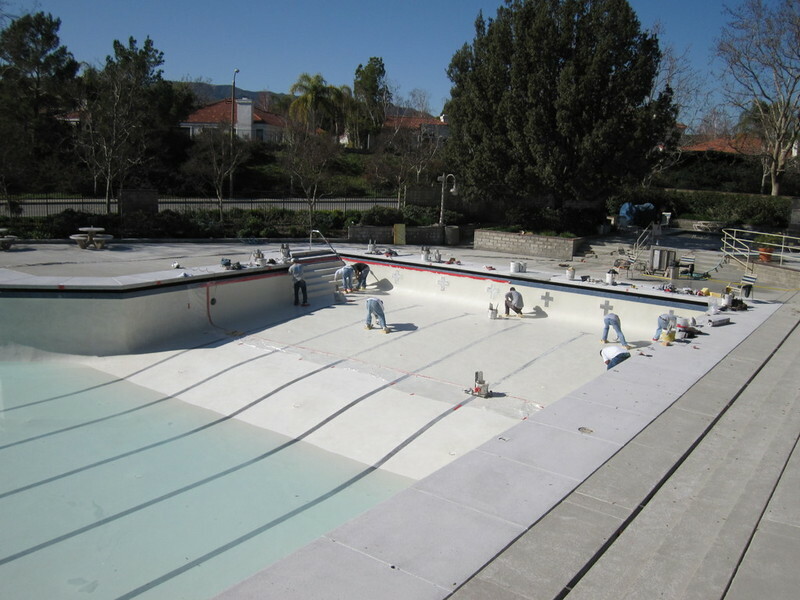 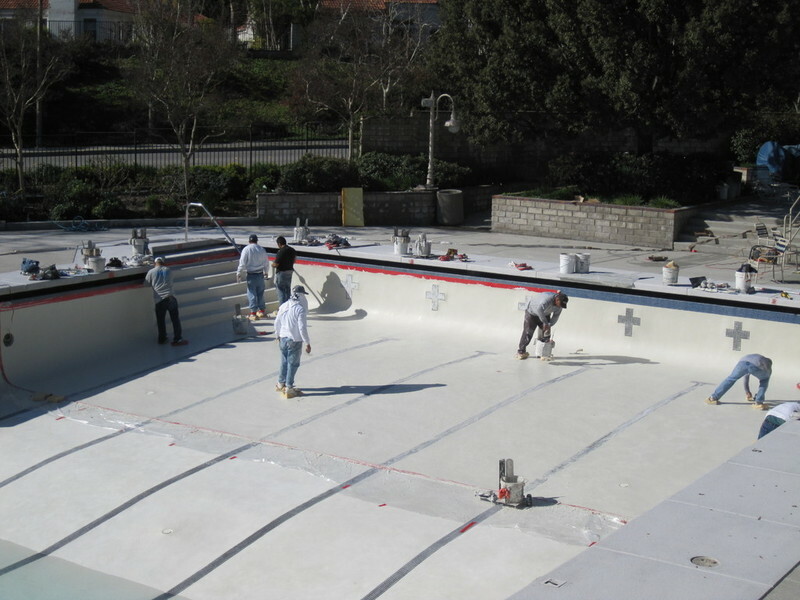 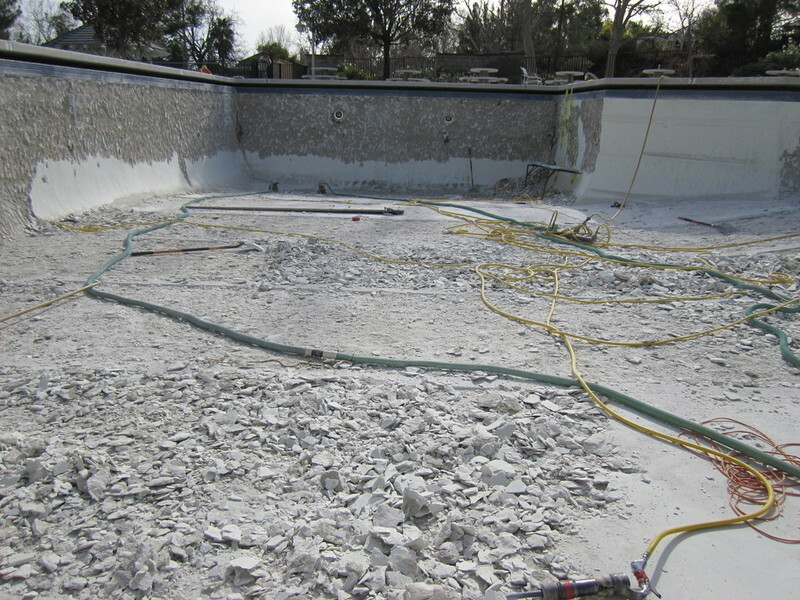 Pool was demoed in 2 days as well as plastered in 2 days by our crews. 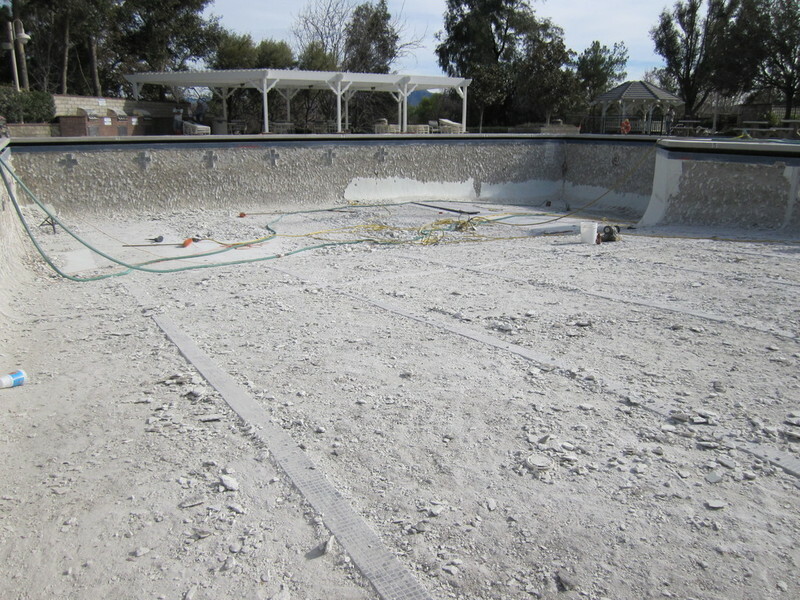 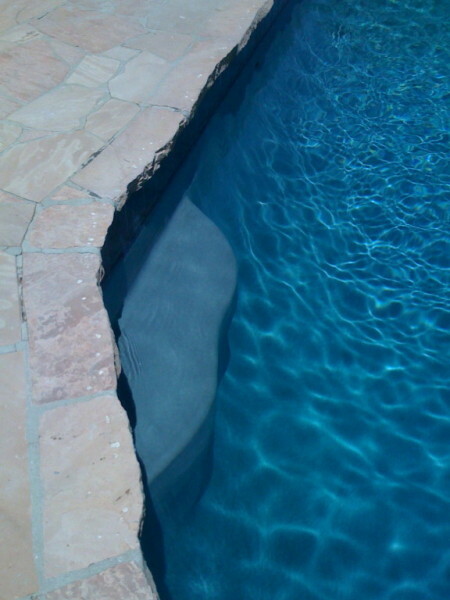 Pool is divided at the 4 1/2' tile break which allowed us to plaster deep end on one day and shallow end the very next day without any delays on filling the pool with water. 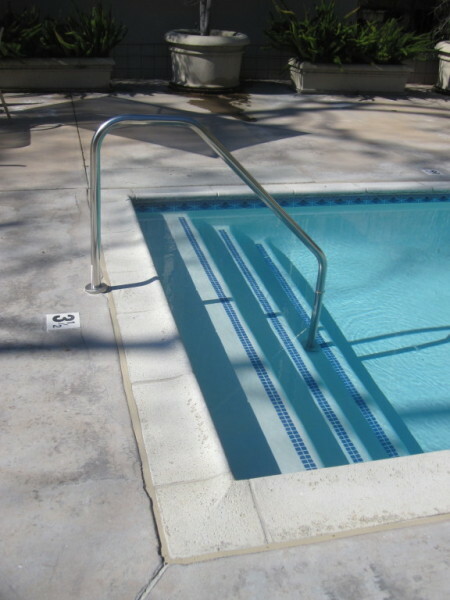 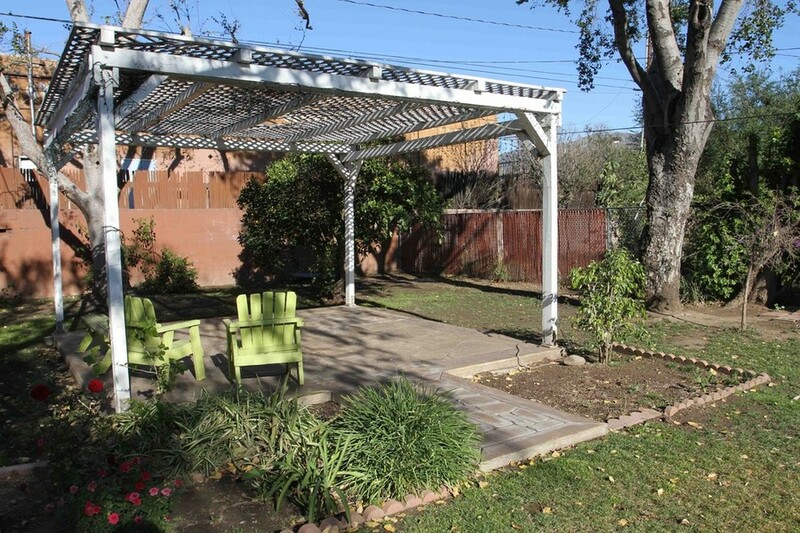 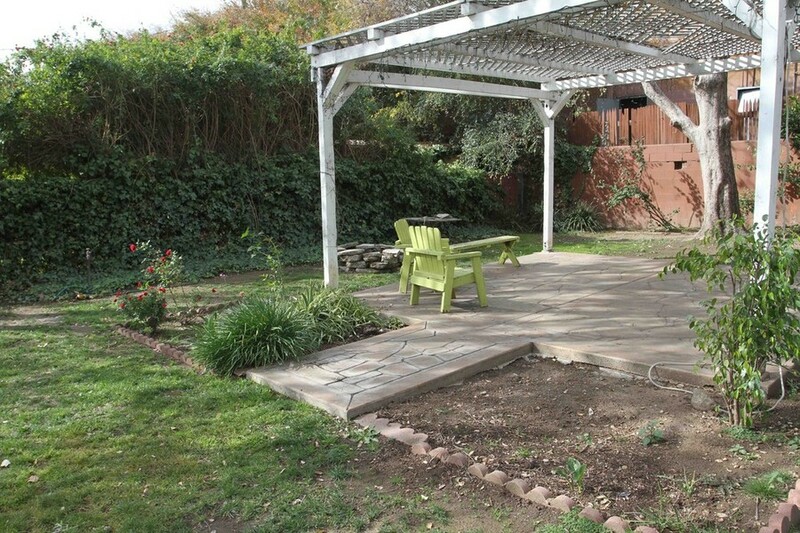 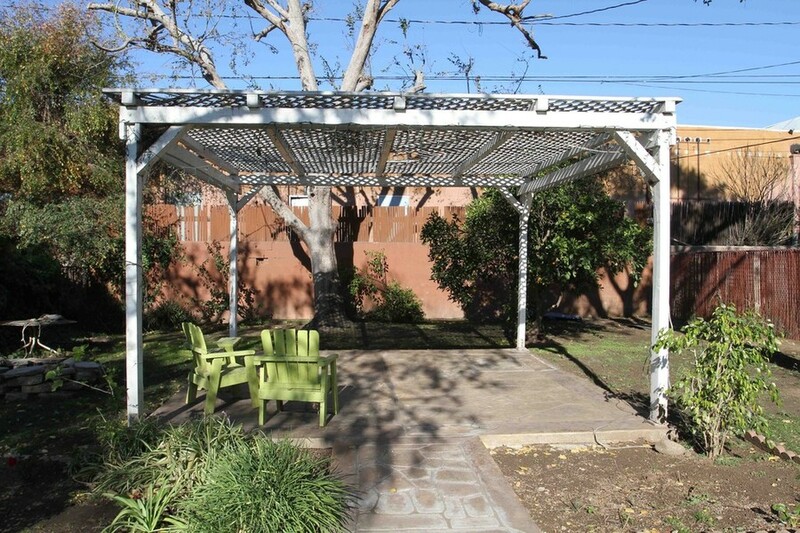 Contract: Complete Remodel; Tile and #Tiles, Plaster, split drains, handrails, and grab rails. 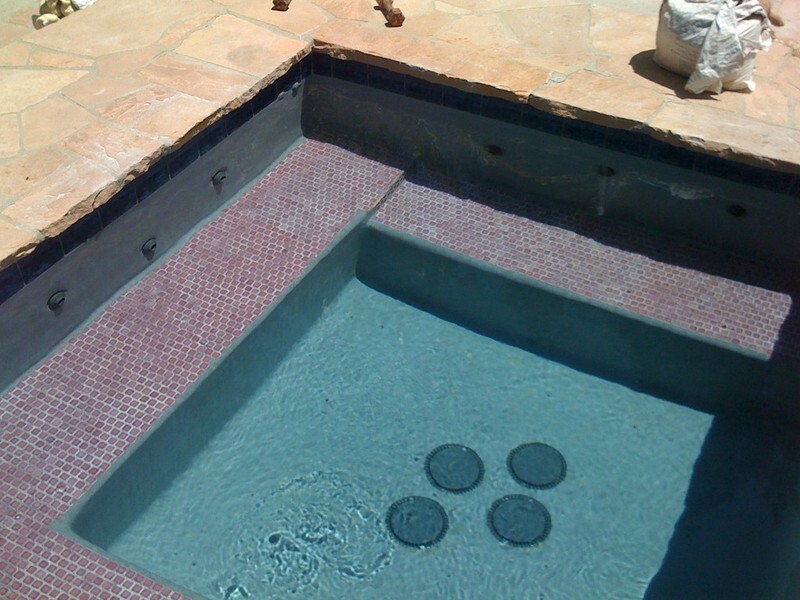 Pool and Spa.